This list includes stories in WSU News, or other outlets where our good works appear, including traditional mass media. Find even more stories on our college blog. 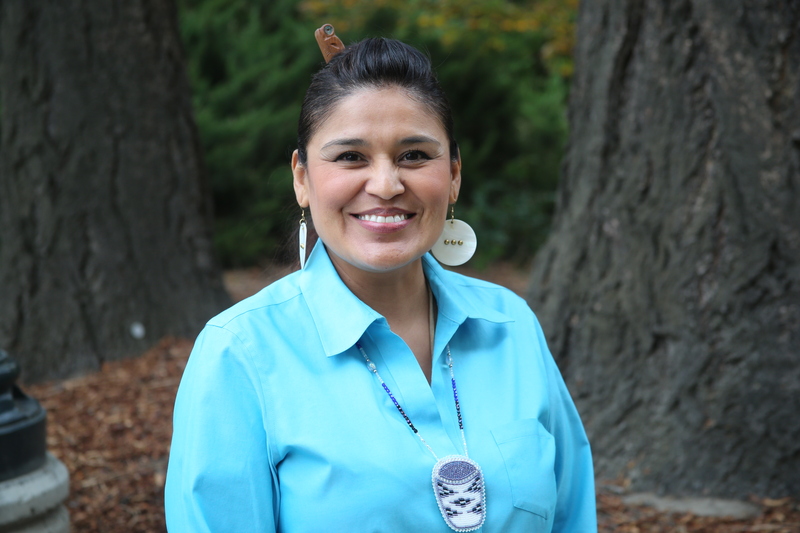 Three Southwest Washington women were honored with Distinguished Woman of the Year awards for making a difference in the lives of others at Washington State University Vancouver’s 11th annual Women of Distinction celebration. One of them was our own Shameem Rakha. 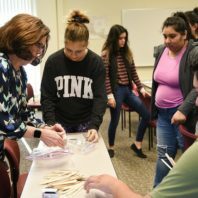 RICHLAND, Wash. – As part of a class at Washington State University Tri-Cities, adjunct education professor Cathie Tate picked up two simple objects: a popsicle stick and a paper clip. She asked the future teachers sitting before her how they would describe the objects to a young child. 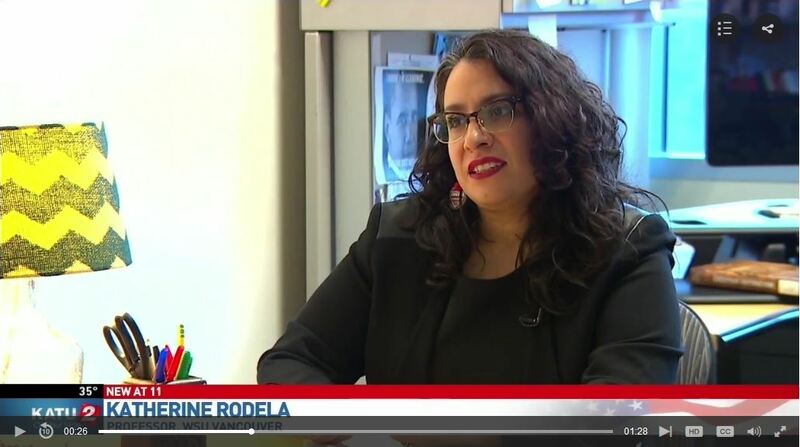 FROM KATU-2: Professor Katherine Rodela is humbled. 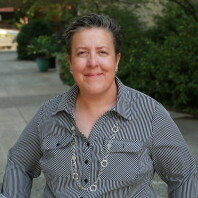 She just received the first George Brain and Gay Shelby Faculty Award, which she will use to research the life stories of teachers and administrators of color. 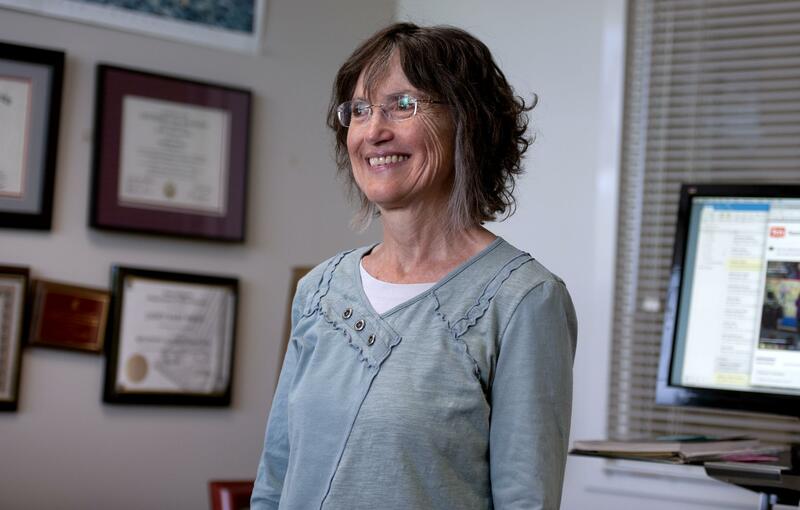 "I think it’s really critical we get in touch with where we come from," said Rodela, who's a professor of educational leadership at Washington State University, Vancouver. 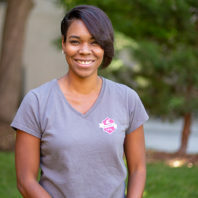 FROM THE COLUMBIAN: For Washington State University Vancouver faculty member Katherine Rodela, the isolation of being one of a few people of color working in the educational field hits close to home. 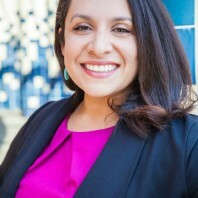 When the Southwest Washington native, a Latina, took a position as an assistant professor of educational leadership at the Salmon Creek campus, leaders of color in the field began to approach her, seeking a sounding board and a listening ear for their own experiences. Washington State University’s annual, fast‑paced Three Minute Thesis will rev up 1 p.m. Wednesday, March 27, in the Spark Atrium, as part of the WSU Showcase week. 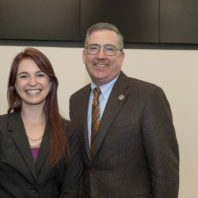 Naomi Wallace, a doctoral student from the College of Veterinary Medicine, won last year’s contest, in which doctoral students present their research/scholarship concisely — in no more than three minutes — to a nonspecialist audience. 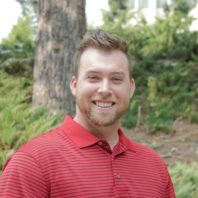 A group of four Washington State University students will take part in a competition at the SABR Analytics Conference in Phoenix on March 8-10. While it’s the eight annual conference for the Society of American Baseball Research, co-sponsored by Major League Baseball, it’s the first conference of its kind for this WSU group, made up of three sport management students from the College of Education, and one mechanical engineering student from the Voiland College of Engineering and Architecture. 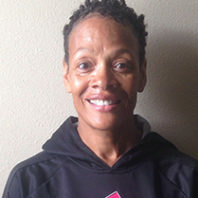 For her work in researching the experiences of educational leaders of color in Washington, a WSU Vancouver faculty member has been named the first recipient of the George Brain and Gay Selby Faculty Award in Educational Leadership. 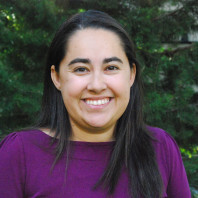 Katherine Rodela, an assistant professor of educational leadership, said while 40 percent of the state's students are students of color, that’s matched by only 10 percent of educators. 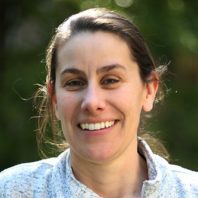 Amy Roth McDuffie, a WSU math professor, has been recognized by the Association of Mathematics Teacher Educators with its 2019 Outstanding Reviewer Award. 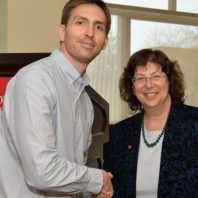 Roth McDuffie, associate dean for research and external funding for the College of Education, was recognized for providing exemplary feedback as part of blinded peer‑review of scholarly manuscripts for Mathematics Teacher Educator journal. 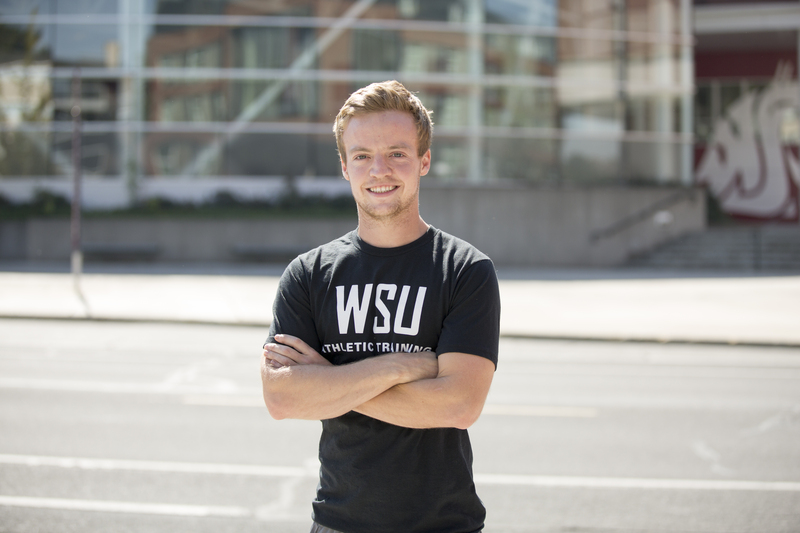 FROM THE DAILY EVERGREEN: WSU ROAR (Responsibility Opportunities Advocacy and Respect) has recruited a new director for the program. 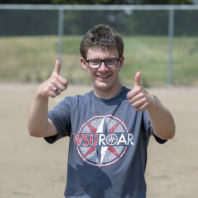 WSU ROAR is a post-secondary education program designed for students with intellectual and developmental disabilities (I/DD). 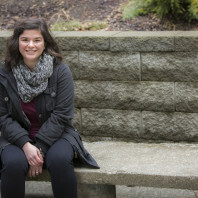 It is a two-year, nondegree seeking program which guides students toward their career goals and encourages them to live independently, said Brenda Barrio, WSU ROAR cofounder. 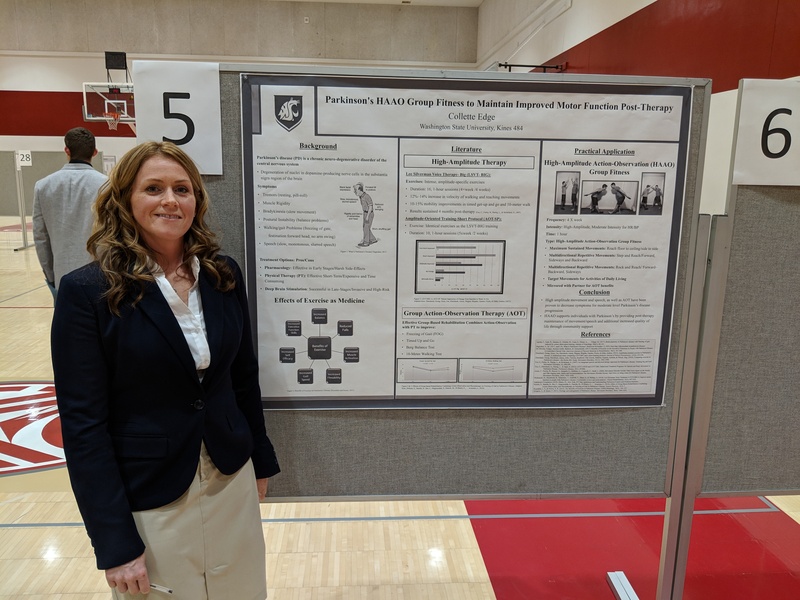 FROM THE DAILY EVERGREEN: A sports science kinesiology major won the grand prize for her research on Parkinson’s Disease at the College of Education’s 2018 semi-annual Bruya-Wood Undergraduate Research Conference. Collette Edge, the author of the research, defined Parkinson’s Disease as a degenerative neurological disorder. 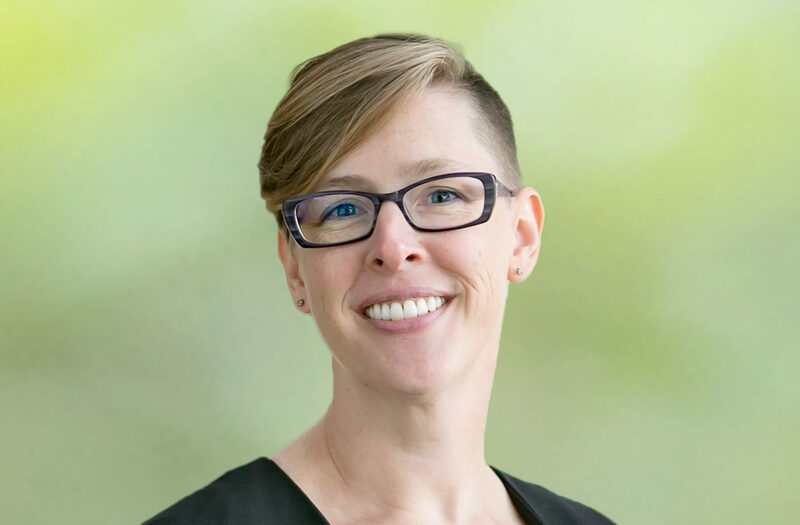 A Washington State University alumna has been awarded by the National Council on Measurement in Education (NCME) for her contributions to educational measurement. 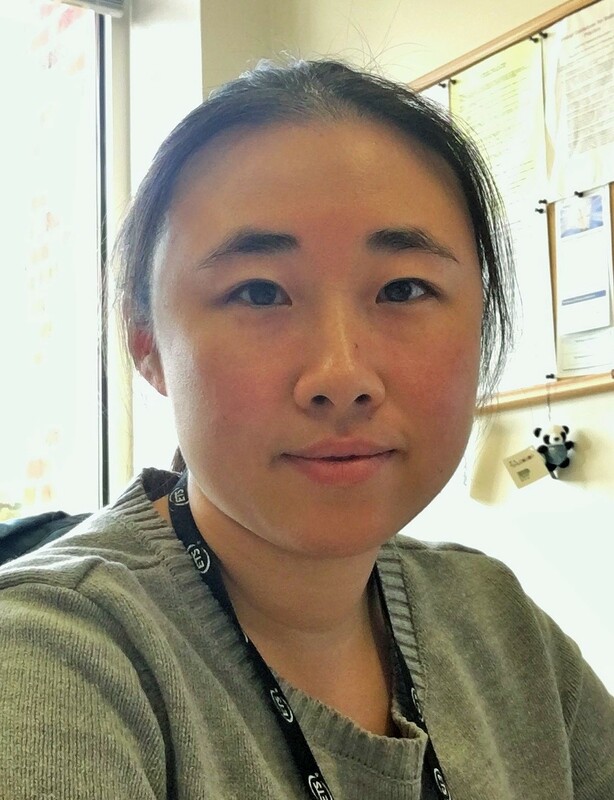 Mo Zhang, who earned her Ph.D. in 2012 from the College of Education’s educational psychology program, was given – along with the rest of her team – the Bradley Hanson Award, named for a well-known figure in the field. Evan Henniger always felt drawn to Washington State University. His parents never thought college would be a possibility. Evan, 20, was diagnosed with Down syndrome shortly after his birth, and the prospect of venturing away from home on his own seemed unlikely. That changed last year when WSU launched a special education program for college-age students with educational or developmental disabilities. 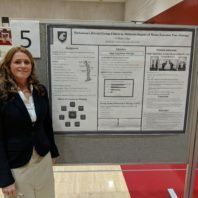 Collette Edge’s research presentation on Parkinson’s disease and fitness therapy recently won the grand prize for outstanding work at the College of Education’s 2018 semi‑annual Bruya‑Wood Undergraduate Research Conference. From cultivating creative entrepreneurs to nurturing early creativity, an interdisciplinary approach is often a key to better thinking and learning. 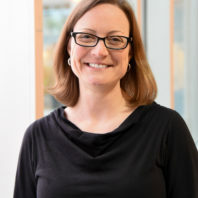 In an Alaska Beyond magazine article, the HEAL project grant and its lead researchers are highlighted, including the College of Education's Molly Kelton. 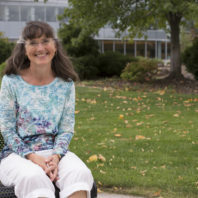 In this piece by WalletHub, Shannon Calderone from WSU Tri-Cities took part in the Q&A about college towns, what makes a good college town, if college towns are good for retirees, etc. 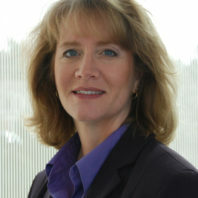 Paula Groves Price has been elected as vice president of the American Educational Studies Association. 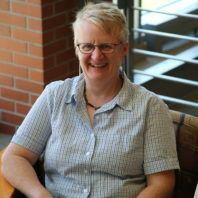 Price, who is a professor and associate dean within Washington State University’s College of Education, said she has been a continuous American Educational Studies Association (AESA) member since joining as a graduate student more than 22 years ago. Gisela Ernst-Slavit is spearheading a grant to improve the way schools and teachers can support students who are learning English along with their lessons. Communities and families will benefit too. 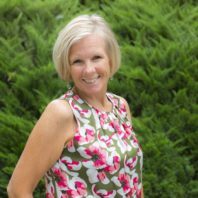 A Washington State University alumna has won 2018 Principal of the Year from the North Carolina Association for Scholastic Activities (NCASA). 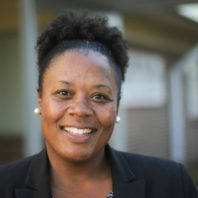 Valencia Price Toomer, who earned her master in teaching from WSU’s College of Education and completed her principal certification internship at Jefferson Elementary School in Pullman, Wash., has been the principal of Horton Middle School in Pittsboro, N.C. for only two years. 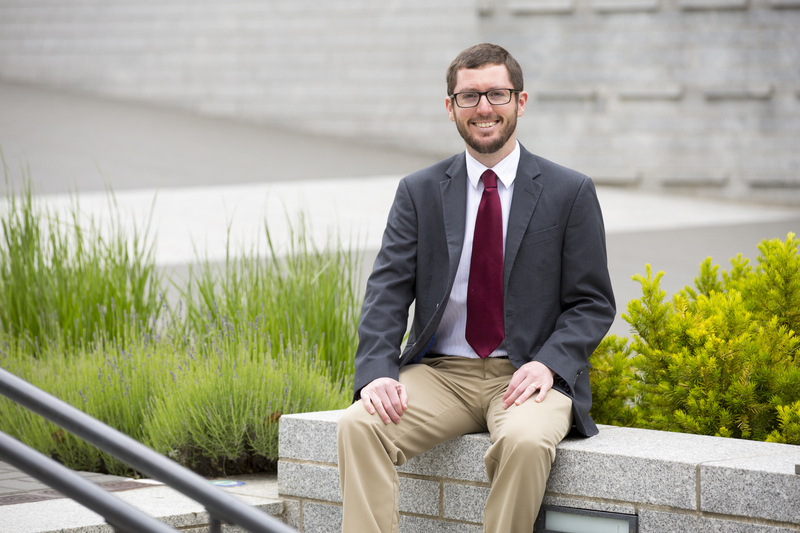 A doctoral candidate at Washington State University has been selected for one of 10 highly competitive annual CADRE fellowships. 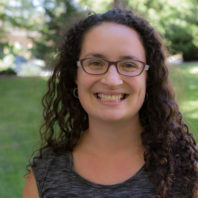 Courtney Benjamin, who is in the College of Education’s cultural studies and social thought in education program, will receive a one‑year fellowship to work with the Community for Advancing Discovery Research in Education (CADRE), which is supported by the National Science Foundation. The run will begin and end at the Courtyard by Marriott in Pullman. On-site registration will begin an hour beforehand, though pre-registration is requested through the group’s website. From the Daily News: A Washington State University graduate and Uniontown native wants people to know that anyone can be a scientist, and she is bringing that message to Miss Washington in November. 50 years after fists: Who would listen, who would care? 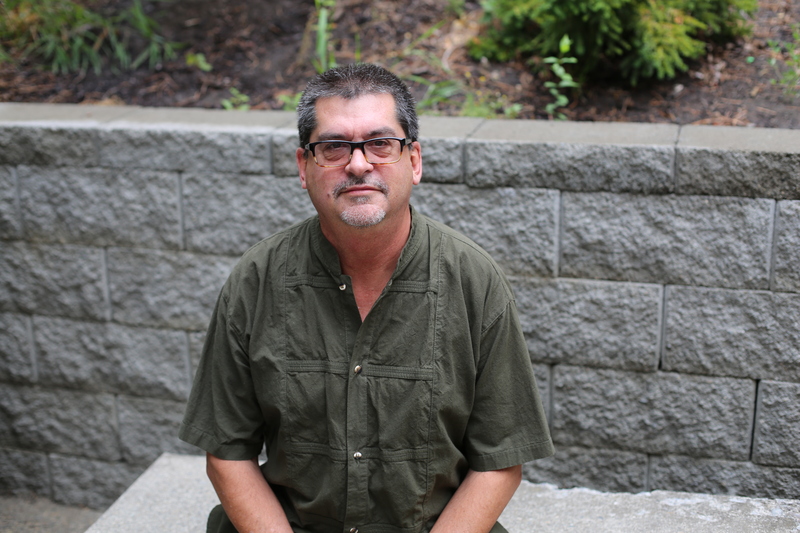 In this Associated Press article, sport management professor Scott Jedlicka talks about the American athletes and the 50th Anniversary of the Black Power salute at the 1968 Olympics in Mexico City. 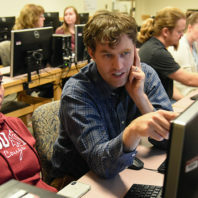 RICHLAND, Wash. – A group of Washington State University Tri-Cities education students and current teachers are the first to benefit from a new course focused on how to teach computer science in the K-12 classroom. 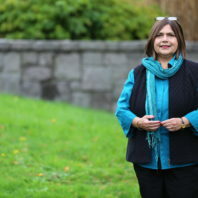 Susan Finley, professor of education at WSU Vancouver, has been awarded the Ormsby Award for Faculty Citizenship for her exceptional civic engagement in the Vancouver community. A WSU doctorate student and local elementary school teacher co-founded a tutoring program that partners university students with elementary schools with the goal of making a difference in the community. 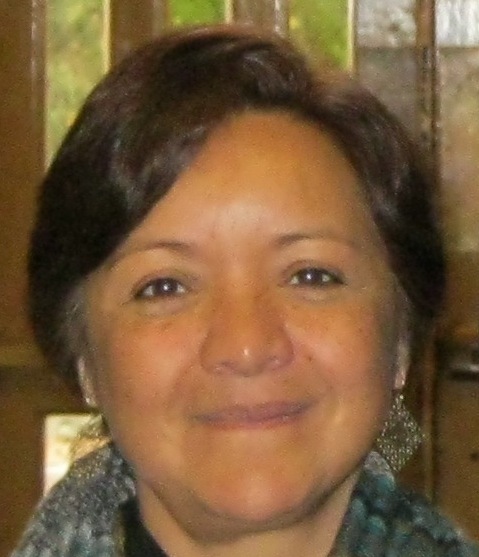 Paulina Abustan, co-founder and coordinator of the Pullman School District K-5 Morning Tutoring Program, said teachers in elementary schools refer to the tutoring program as “homework club,” and advise students who need extra assistance to attend. Washington State University’s Responsibility, Opportunity, Advocacy and Respect program is welcoming its inaugural cohort of five students this fall. The two-year program, better known as ROAR, indirectly came out of the Provost’s Leadership Academy. 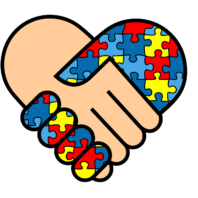 It offers students with intellectual or developmental disabilities individualized programs of study in education, social skills and vocational training. 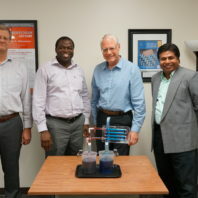 The College of Education's Sola Adesope is part of a team of WSU researchers who will train faculty and distribute unique hands-on experiment kits to universities across the U.S. as part of an effort to help students better understand engineering concepts. The five-year effort is funded by a recently announced $2.4 million National Science Foundation grant. 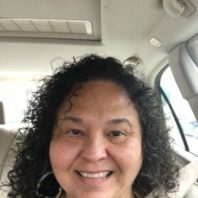 Sharon Foster, a first-grade teacher from Daybreak Primary School in Battle Ground, Washington, will be presented with the Washington State University College of Education’s outstanding mentoring award on Sept. 29. 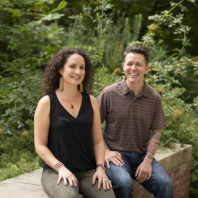 The project is called HEAL, short for Health Education through Arts-based Learning, and will be led by the College of Education’s Molly Kelton and the Department of Entomology’s Jeb Owen. 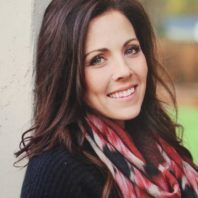 WSU Tri‑Cities will hold a comprehensive education summit for teachers and other educators on Saturday, Oct. 13, which will welcome National Teacher of the Year and Washington resident Mandy Manning as its keynote speaker. From the Spokesman-Review: Washington State University has launched a pilot program to let paraeducators earn a master’s degree in teaching while still working full time. The College of Education has been in discussion with Spokane Public Schools and other local districts for years searching for ways to address the shortage. The new program is hoping to do just that. Local View: What will happen after the dust of teacher strikes settles? 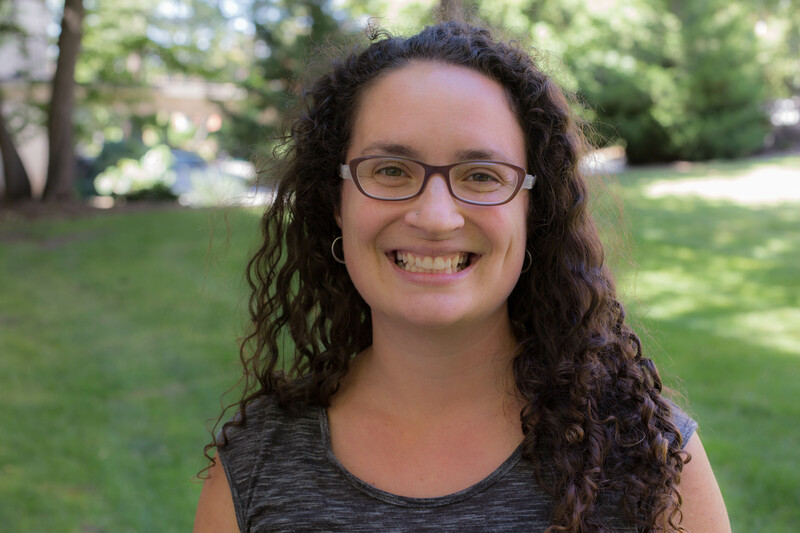 In this op-ed for The Columbian, Katherine Rodela, assistant professor of education talk about teacher strikes, and what will happen when all the dust settles. 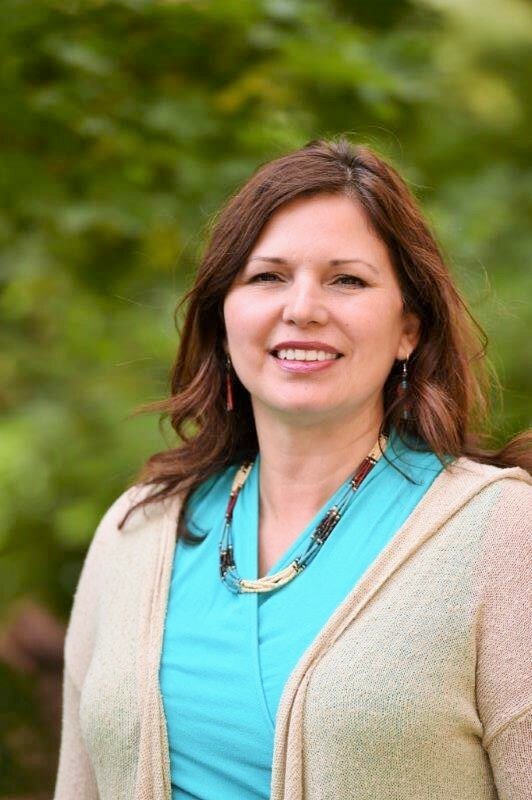 Zoe Higheagle Strong was selected to assume the role of executive director of Tribal Relations and special assistant to the provost, effective Jan. 10. 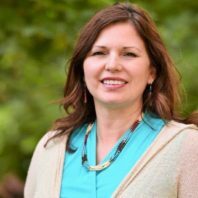 Higheagle Strong also will serve as director of the Plateau Center for Native American Research and Collaborations, beginning immediately. 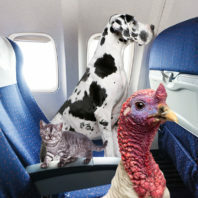 From CNN: Colleges have seen an uptick in the number of registered emotional support animals on campus. 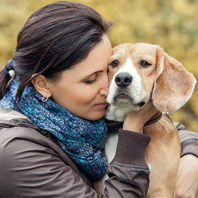 Unlike facility dogs, emotional support animals need not be dogs nor obtain specific training, but a person who wants one must have documentation from a health professional to show a disability and a disability-related need for the animal in order to obtain protection under the Fair Housing Act. Executive associate dean Phyllis Erdman weighed in. 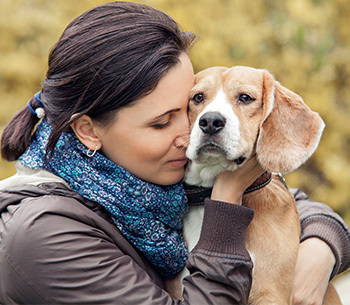 How Are Colleges And Courts Dealing With Emotional Support Animals? 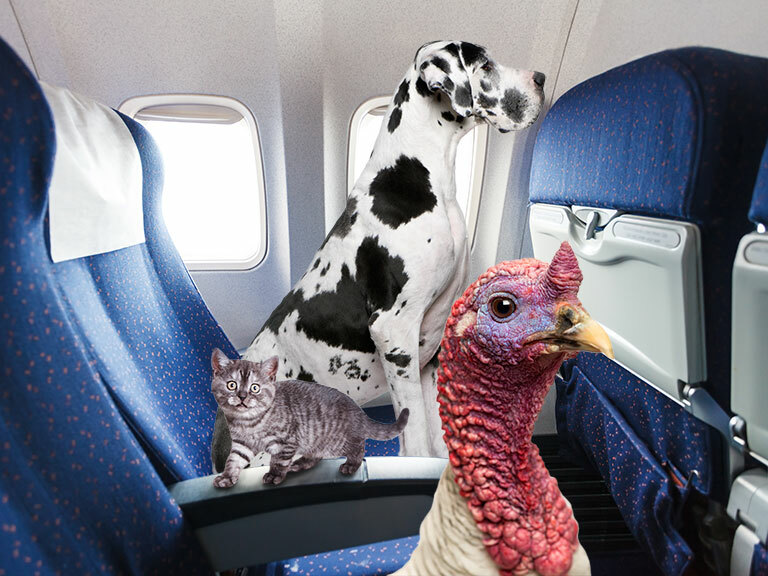 From Newsy: There aren't as many rules for emotional support animals as for service animals. New research looked at how institutions deal with them. 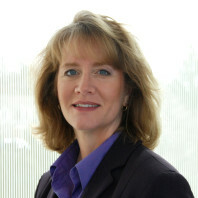 Executive associate dean Phyllis Erdman has played a part in that. 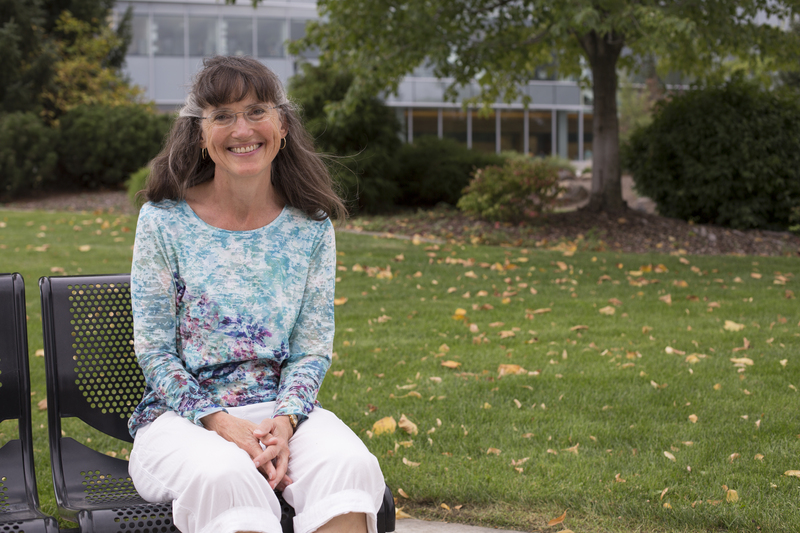 The college's Director of Administration Bev Rhoades was one of six WSU employees who received the 2018 Grant and Contract Administration Awards, which recognize employees for exceptional contributions and service in research administration. In any other universe, a park bench might just be a park bench. But this is the universe of a children’s book so the sky is limit, the inanimate objects have real feelings, and, of course, there’s a moral to the story. 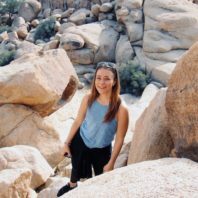 Julia Melvin, a Washington State University alumna, has received a Fulbright U.S. Student Program award to Greece as an English teaching assistant from the U.S. Department of State and the J. William Fulbright Foreign Scholarship Board. 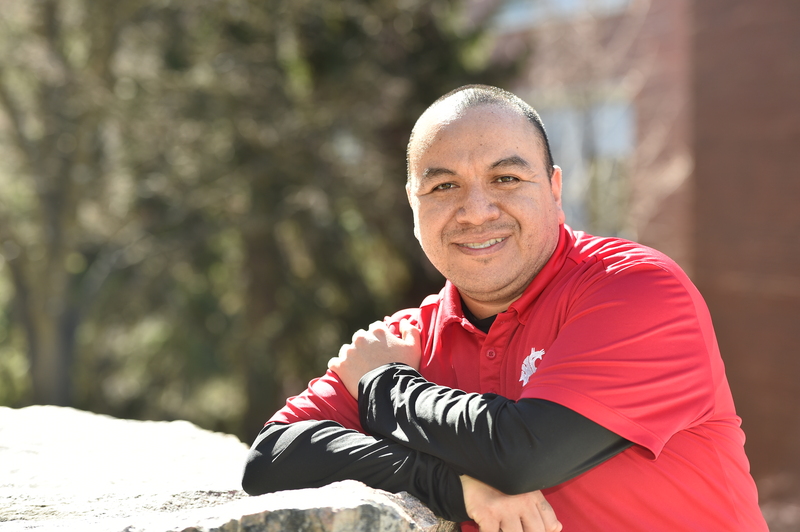 PULLMAN, Wash. – When Greg Urquhart returned in 2005 from a tour of duty in Iraq, he noticed there were not many options available for Native American veterans. He set out to change that. The Learning and Performance Research Center at Washington State University is hosting its sixth annual Methods Workshop, 9 a.m.-5 p.m. Thursday-Friday, May 10-11, on the Pullman campus. 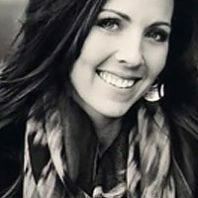 NEW YORK — Kristen Pratt, Ph.D., a 2017 Washington State University doctoral graduate in education, has won the 2018 American Educational Research Association (AERA) Outstanding Dissertation Award in the area of second language research. A new version of an existing teaching degree and credential program is starting on campus this summer with its first cohort of students. 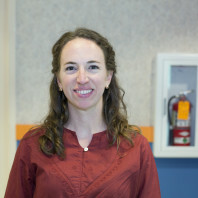 The program is for para-educators—also known as instructional assistants or teacher’s aides—to get a master’s degree in teaching and a teaching credential while continuing to work, compared to the traditional master’s degree in teaching (MIT) which is a fast-paced, 13-month program that necessitates people take a year off work. 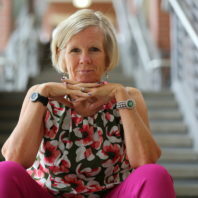 The leader of WSU’s College of Education office on the Spokane campus was a math teacher in middle school and high school before she decided to return to school for a Ph.D.
Janet Frost, Ph.D., is finishing her first year as the academic leader of the Education unit and is in her 11th year as a faculty member for the College of Education unit at WSU Spokane. The Education unit has faculty who have expertise in math and science education, educational psychology and educational leadership. 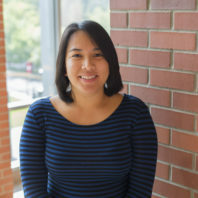 RICHLAND, Wash. – Annick Rougee, a WSU Tri-Cities assistant professor of mathematics, has been named a Service, Teaching and Research fellow by the Association for Mathematics Teacher Educators. 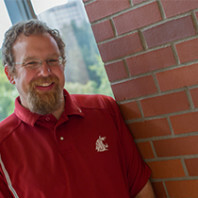 If a couple of fellow students had not been goofing off in a class that Hank Evans was taking as a prerequisite in his master’s program at Washington State University, he may not have become interested in his latest research topic. 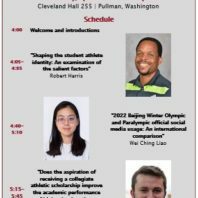 Three graduate students in sport management will present their master’s thesis ideas in the culminating event of the Sport Management Research Meetings series 4-5:45 p.m. on Wednesday, April 11, in Cleveland Hall 255 in Pullman. 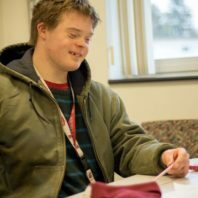 From the Spokesman-Review: A new program at Washington State University aims to provide job opportunities and an authentic college experience for students with intellectual and developmental disabilities such as autism and Down syndrome. The two-year program is called ROAR – an acronym that stands for responsibility, opportunity, advocacy and respect – and applications are being accepted for the first class of four students. 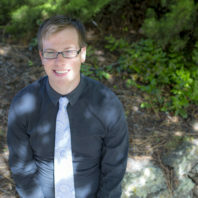 An educational psychology doctoral student in Washington State University’s College of Education has accepted a well-respected internship with the Educational Testing Service (ETS) in Princeton, New Jersey. 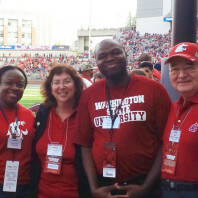 PULLMAN, Wash — The Washington State University College of Education has launched a new on-campus program in Pullman, aimed at providing educational opportunities and a college experience to young adults from around the country with intellectual or developmental disabilities. 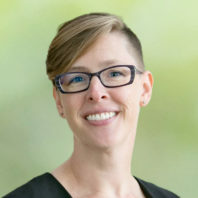 If future standards in math and science are to be met, teacher preparation programs are in need of a makeover, said Tamara Holmlund, a professor of science education at Washington State University Vancouver. 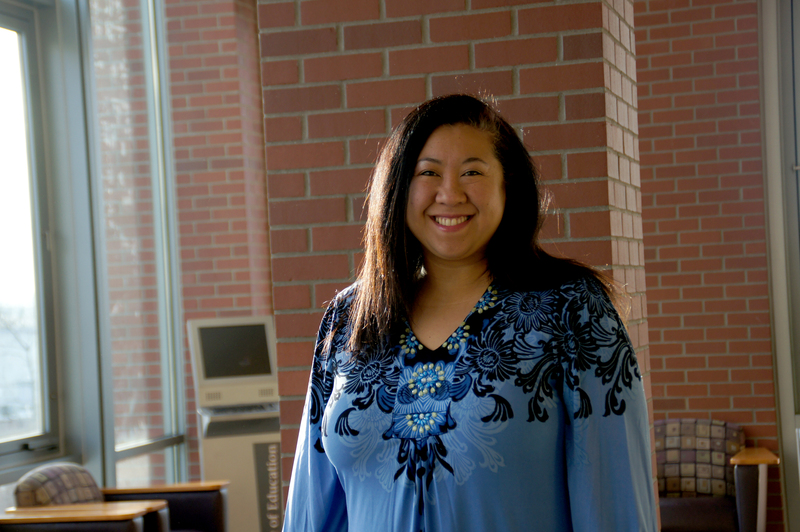 Kristen Pratt, Ph.D., a 2017 WSU doctoral graduate in education, has won the 2018 American Educational Research Association (AERA) Outstanding Dissertation Award in the area of second language research. 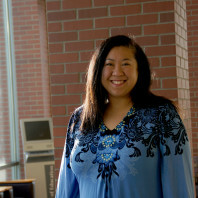 Kristen Pratt, an instructor at WSU Vancouver, who earned her Ph.D. from WSU in English Language Learners (ELL), has been given an outstanding dissertation award by the American Educational Research Association (AERA). 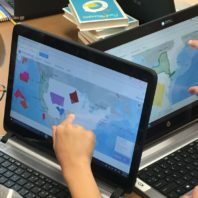 RICHLAND, Wash. – A Washington State University Tri-Cities education professor has partnered with her father, a software engineer, to develop a fun and hands-on educational tool that will allow students to virtually explore geographic areas, expand their spatial awareness skills and improve overall geoliteracy. Can an Online Puzzle Make Geography Fun—and Relevant? In this piece, written by Sarah Newcomer, from WSU Tri-Cities, examines "Geoliteracy", what it is, and how it is more than pinpointing locations on a globe. It is the ability to connect students with wider issues! Three Minute Thesis (3MT) will once again be part of Washington State University’s annual Showcase celebration of excellence. This year’s 3MT will take place on March 29 in the Spark Atrium. 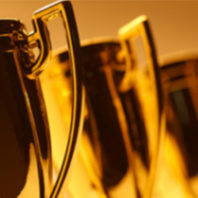 Prizes, in the form of travel awards for research conferences, will be $3,000 for the winner, $1,500 for second place and $500 for third. 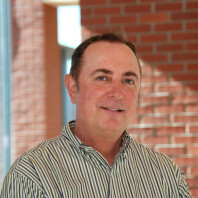 Johnny Lupinacci has been awarded the annual Research Award from the Washington Educational Research Association (WERA). 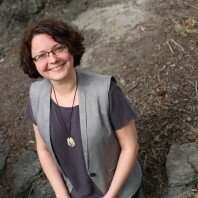 Lupinacci is an assistant professor in the Cultural Studies and Social Thought in Education program. 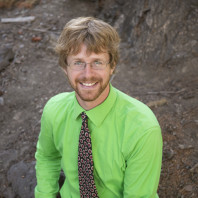 His research focuses on ecological perspectives in place-based social studies education and working with teachers and school leaders to address environmental justice in connection with environmental racism in classrooms and communities. 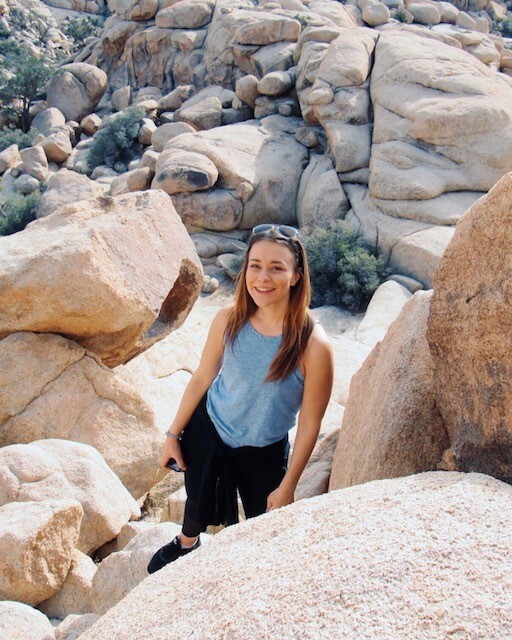 In this Alaska Airlines magazine article, sport management alumna Carly MacKinnon shares a little bit about her experience in college and how she made the most of it. PULLMAN, Wash. – The Coug football team wasn’t the only WSU representative to hit national top 10 status in 2017. 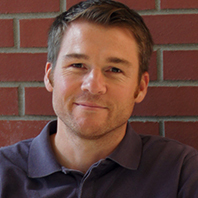 An article on practice testing written by a WSU associate professor made the American Educational Research Association’s list of most-read education research articles of 2017. PULLMAN, Wash. – Thanks to two state grants, Washington State University is providing greater access for specific groups of educators to become state-certified teachers. The grants come from the state’s Professional Educator Standards Board (PESB), which is responsible for oversight of the state’s teacher preparation, certification and continuing education. While there is a traditional route to becoming a teacher, such as through the College of Education’s teacher preparation program, PESB also has four alternative routes. 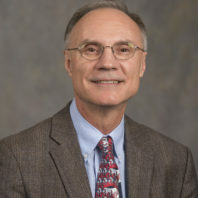 The WSU College of Education has named Andy Cavagnetto as a Boeing Distinguished Professor of STEM Education for this academic year. 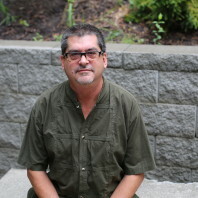 Cavagnetto has for years been interested in the construction and critique of argument as students pose questions, gather data, and negotiate evidence-based claims. He was the co-chair of the international Argument-Based Inquiry Conference in 2015. Commentary: Pokemon Go’s Creator Is Making a Harry Potter Game. 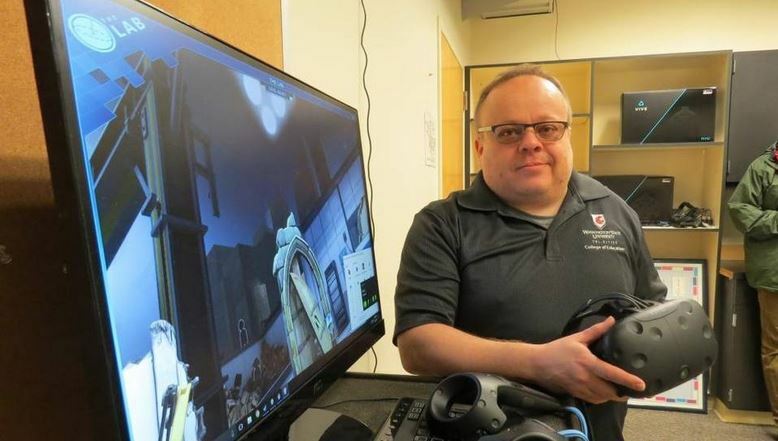 Jonah Firestone, at WSU Tri-Cities, wrote a commentary for Fortune, about a new Harry Potter augmented reality game, by the creators of Pokemon Go. He gives suggestions for its success. 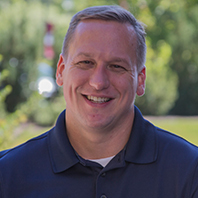 Scott Jedlicka, an assistant professor in sport management, will speak in the fourth and final Sport Management Research Meeting of the Fall 2017 semester. His presentation, “A Compatibility Issue: International Sport Events and Domestic Polities,” will occur 4-5 p.m. on Wednesday, November 15, in Cleveland Hall 255 in Pullman. PULLMAN, Wash. – Kelly Ward will be given this year’s distinguished service award from the Association for the Study of Higher Education. 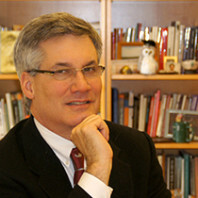 Ward is a professor of educational leadership, as well as WSU’s vice-provost for faculty development and recognition. 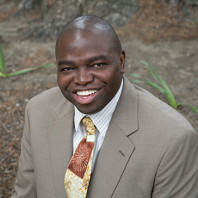 The WSU College of Education has named Sola Adesope as Boeing Distinguished Professor of STEM Education for this academic year. 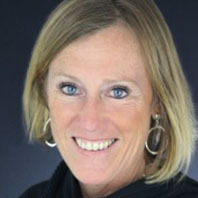 A former ESPN and Seattle Times reporter will discuss how to make sport accessible to all children. Tom Farrey will be the guest lecturer on Oct. 20 at 4 p.m. in Chinook Student Center 150 as part of WSU’s Gordon-Enberg Professional Series in Sport Studies. Read second story here. 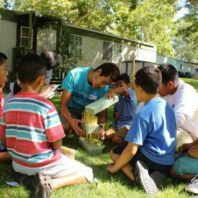 RICHLAND, Wash. – Washington State University Tri-Cities has joined forces with a local youth-operated program to grow its home-based extracurricular learning opportunities in a community in east Pasco. PULLMAN, Wash. – The WSU Athletic Training Club is collecting clothing, money, medical supplies and food this weekend and through Sept. 10 to assist Hurricane Harvey victims. 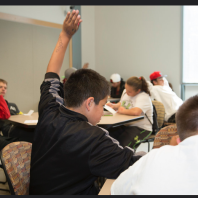 RICHLAND, Wash. – Washington State University is leading the online implementation of a program aimed at reducing school truancy that could positively impact schools across the state, and possibly the nation. 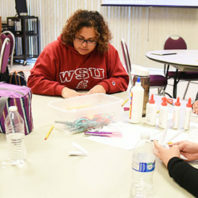 PULLMAN, Wash. – The WSU College of Education will host some of the region’s top STEM education leaders on the Pullman campus, starting 1 p.m. Wednesday, Sept. 27, as part of its STEM Education Research Summit. 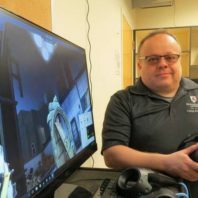 QUOTED in Motherboard: Don McMahon, assistant professor of special education, talks about augmented reality, and the intuitiveness of it. 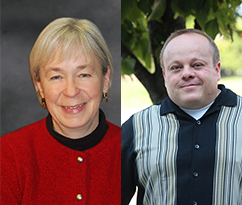 PULLMAN, Wash. – WSU’s Learning and Performance Research Center will host its fifth annual Methods Workshop Thursday-Friday, May 11-12, on the Pullman campus, with streaming to Vancouver and Spokane. 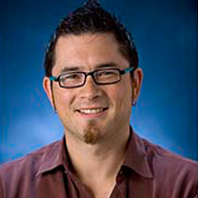 This year’s presenter is Roy Levy, associate professor of measurement and statistical analysis at Arizona State University’s T. Denny Sanford School of Social and Family Dynamics. PULLMAN, Wash. – Washington State University and the College of Education have signed two Memorandums of Understanding with Okinawa Prefecture city and educational leaders, to pave the way for more Okinawan students to attend WSU. PULLMAN, Wash. – The College of Education has given its annual faculty and staff excellence awards in five different categories. 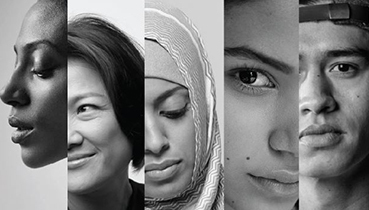 From Newsworks: The ‘baby penalty’ often sidelines female scientists. In this article, Kelly Ward spoke about studies she had done regarding mothers and their academic careers. 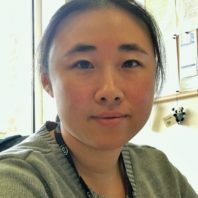 VANCOUVER, Wash. – Henri Burns, a doctoral student in the College of Education’s mathematics and science education program, has been chosen by the National Association for Research in Science Teaching (NARST) to take part in five-day workshop in Taiwan this summer.Burns, who is doing her studies at WSU Vancouver, is one of only 36 graduate students worldwide chosen for the Sandra K. Abell Research Institute for Doctoral Students. 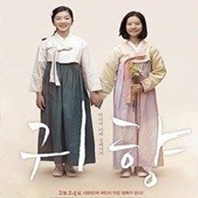 PULLMAN, Wash. – The film, “Spirits’ Homecoming,” will be shown for free by the Korean Student Association (KSA) at 6:45 p.m. Tuesday, April 11, in the CUB auditorium. The sad but powerful story is about the atrocities of war, specifically the “comfort women” forced into sexual slavery by the imperial Japanese army in occupied territories before and during World War II. PULLMAN, Wash. – Panshak Dakup, a College of Pharmacy doctoral student at Washington State University Spokane, won the annual Three Minute Thesis (3MT) event in Pullman Tuesday with his presentation, “The Benefits of Circadian Function in Cancer Therapy.” Julie Noyes, from the College of Education, won second place. PULLMAN, Wash. – Effective July 1, 2017, the College of Education has reappointed two of its associate deans for two more years: Paula Groves Price as associate dean for diversity and international programs, and Amy Roth McDuffie as associate dean for research and external funding. 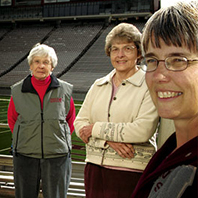 PULLMAN, Wash. – Sue M. Durrant, a WSU alumna, faculty member and head coach, will receive a Lifetime Achievement Award as part of WSU's annual Women’s Recognition Luncheon and Symposium at 11:30 a.m. Wednesday, March 8, in the CUB ballroom. This year’s theme is “Honoring Women’s Resilience.” Durrant fought for women’s equity in collegiate athletics programs, and her inspiring legacy continues to shape WSU today. FROM THE TRI-CITY HERALD: Jonah Firestone explores the future of education from a utilitarian laboratory. The only equipment in the lab on the second floor of the Washington State University Tri-Cities library are two monitors connected to high-end computers. But from there, with the help of a headset, you can circle the Earth, fight zombies or create 3-D art. 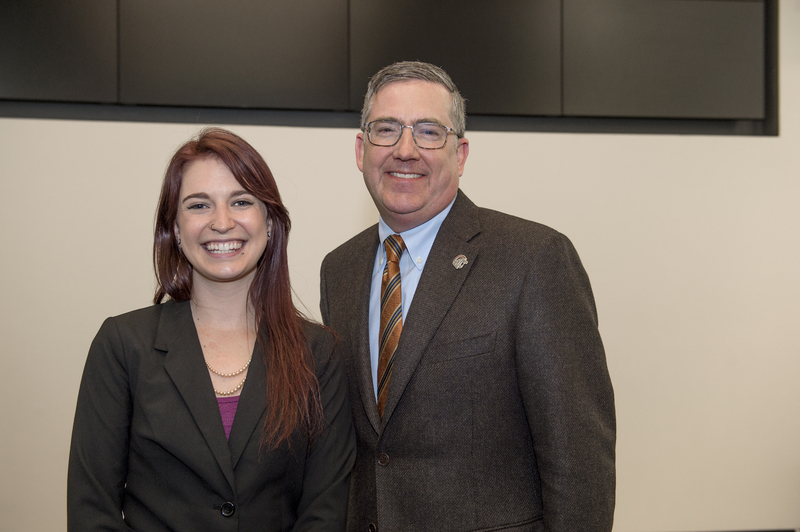 PULLMAN, Wash. – Three Minute Thesis (3MT) will once again be part of Washington State University’s annual Showcase celebration of excellence at noon Tuesday, March 28, in the CUB junior ballroom. Prizes, in the form of travel awards for research conferences, will be $3,000 for the winner, $1,500 for second place and $500 for third. Could President Trump's Policies Derail a U.S. World Cup Bid? 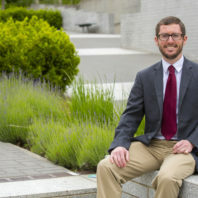 FROM THE BLEACHER REPORT: In this piece, assistant professor Scott Jedlicka is quoted on the effect President Trump could have in regards to the United States attempting to win a World Cup hosting bid. 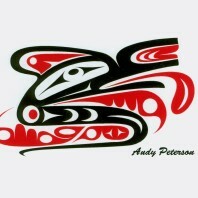 PULLMAN, Wash. – A 2008 report shows that K-12 Native American students perform better when they have native teachers, yet Native Americans are only one percent of Washington’s teachers. 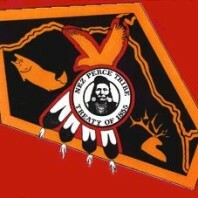 To provide more, Washington State University will host the Future Native Teachers Initiative (FNTI) March 5-7. 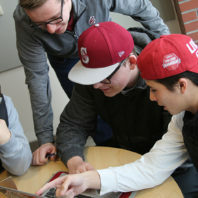 PULLMAN, Wash. – Creating engaging tasks for students through the use of technology will be discussed in a workshop for faculty at 12:10 p.m. Thursday, Feb. 16, in CUE 518 at Washington State University Pullman. Refreshments will be provided. 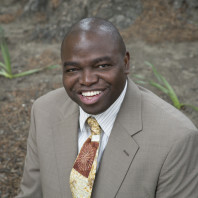 PULLMAN, Wash. – Sola Adesope, associate professor of educational psychology, has been invited to serve a second term on the editorial board of the Review of Educational Research (RER), which has ranked as the No. 1 education research journal by the Social Science Citation Index for a number of years. PULLMAN, Wash. – WSU's Office of International Programs, and Office of Research announced five recipients of the Fifth Annual International Research Travel Awards. Two of them were College of Education faculty. 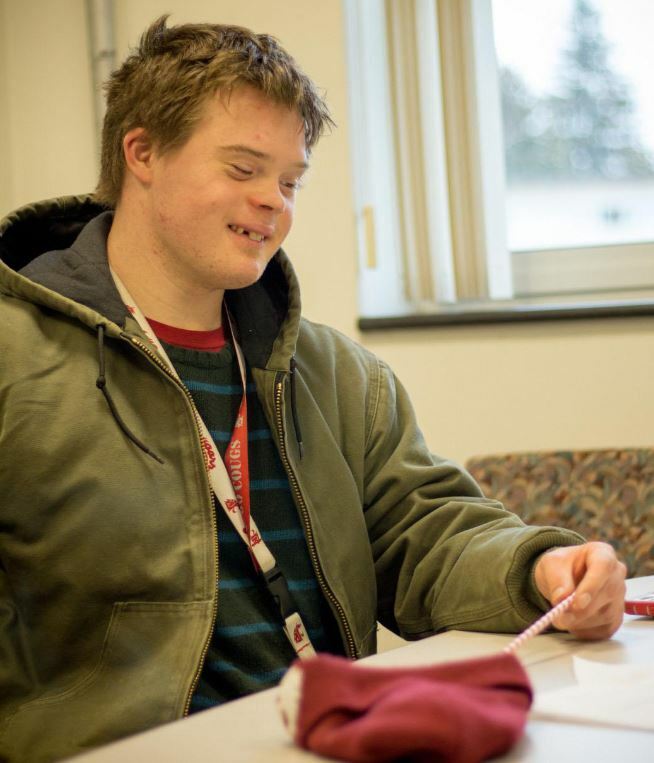 RICHLAND, Wash. – A class of 12 education students at Washington State University Tri-Cities and adults with developmental disabilities are sharing lunch, games and activities once a month to make friends and develop their professional and social skills. 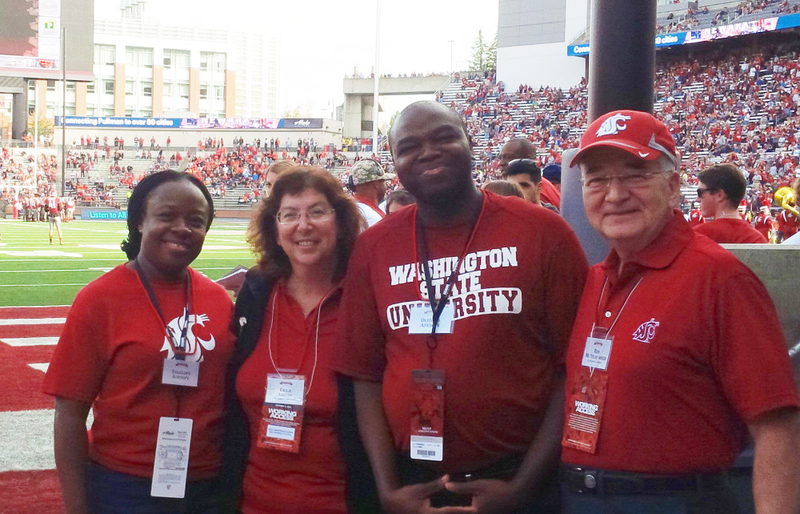 PULLMAN, Wash. – A shared love of English brought together three undergraduates in 2000 in Benghazi, Libya. 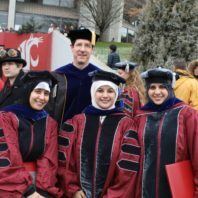 Years and separations later, they completed Ph.D.s together in language, literacy and technology at Washington State University in 2015. FROM THE MOSCOW-PULLMAN DAILY NEWS. 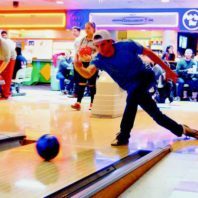 Every available bowling lane was filled at Zeppoz in Pullman late Saturday afternoon for a fundraiser for Pullman Regional Hospital that was organized by five Washington State University students. 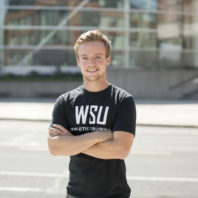 Austin Giem, one of the five WSU seniors who organized the event as part of a class project for a sports management course, said he and his four classmates have been working on the project since the first week of the fall semester. "We spent the whole semester making this plan so that on the day of the event, everything runs smooth and we're prepped and ready for everything," Giem said. Giem said more teams showed up to bowl than what he and his classmates were expecting. 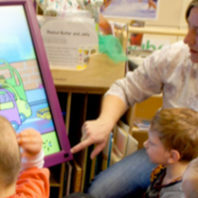 PULLMAN, Wash. – Using new technology is one of the ways teachers are engaging students in order to improve their achievement in the classroom. The Harvest Foundation has awarded Washington State University $10,000 to provide teachers with things like Ozobot robots and virtual reality headsets for this purpose. 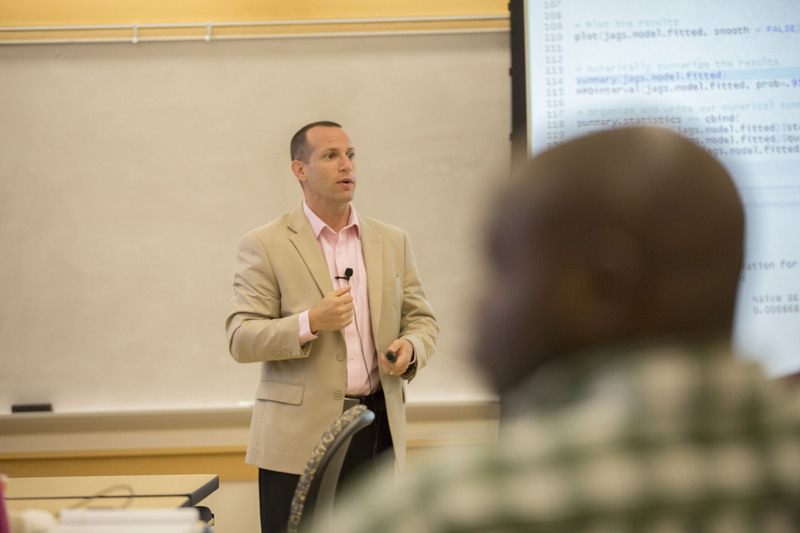 PULLMAN, Wash. – College of Education dean Mike Trevisan will speak to the United Nations in New York as part of a workshop today through Saturday related to the U.N.’s new sustainable development goals. Trevisan was asked to speak because of the book “Evaluability Assessment: Improving Evaluation Quality and Use”, which he co-wrote with Tamara Walser from the University of North Carolina Wilmington. 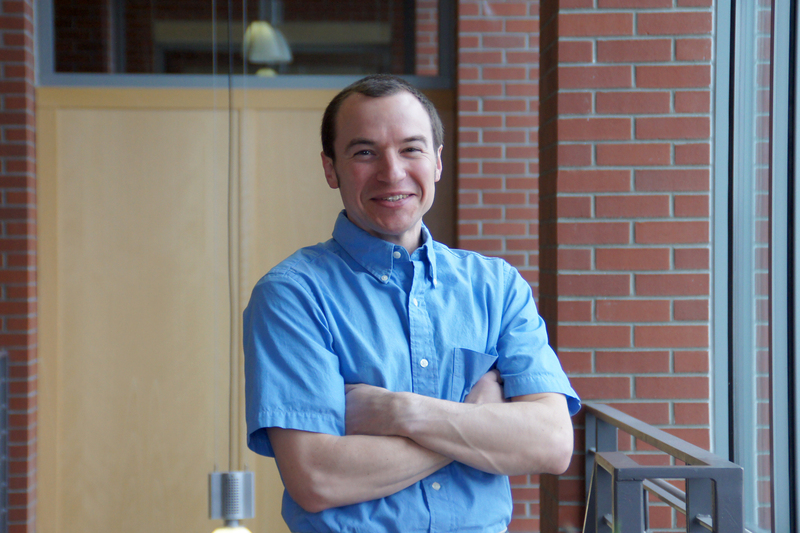 PULLMAN, Wash. – Marcus Poppen has received the Switzer Research Fellowship to document and evaluate vocational support services provided to young adults with disabilities while they are enrolled in school. 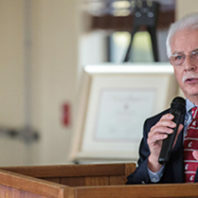 PULLMAN, Wash. – Alumnus and former faculty member Gene Sharratt recently received the annual Advocate for Education Award from the Washington State University College of Education for promotion of good educational practice or policy at the state, regional or national level. 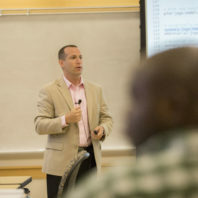 “On paper his experience is impressive, but what really makes him stand out is the impact this experience has had on students, colleagues and the overall field of education,” said college dean Mike Trevisan. 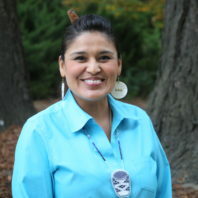 PULLMAN, Wash. – The Washington State University College of Education has received a four-year grant from the U.S. Department of Education Office of Indian Education (OIE), one of about 20 Indian Professional Development Awards funded by the agency this year. The $400,000 grant will support recruitment of Native teachers and education administrators, as well as training for those in professions that serve American Indians. It will improve the skills of Natives who already serve in educational capacities, and they will then participate in programs focused on Indian education, research and practices. The Mestizo Center is pleased to announce the new series: Under the Skin: An introspective Look at the “Self”. It is a series of six workshops where the WSU community will have the opportunity to critically dialogue about labels, stereotypes and ways of self-identification. ARTS will be the means through which participants will be encouraged to tell the stories of who they are. 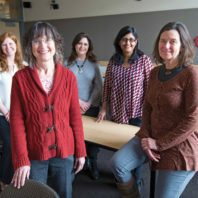 PULLMAN, Wash. – Four Washington State University academic advisors have received “Outstanding Achievement in Academic Advising” awards from the local WSU Academic Advising Association (ACADA). 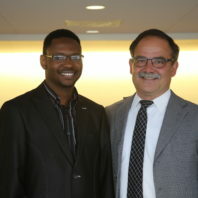 One of these is Matthew Jeffries, from the College of Education. He won in the "new advisor" category (for those with three or fewer years of advising experience). 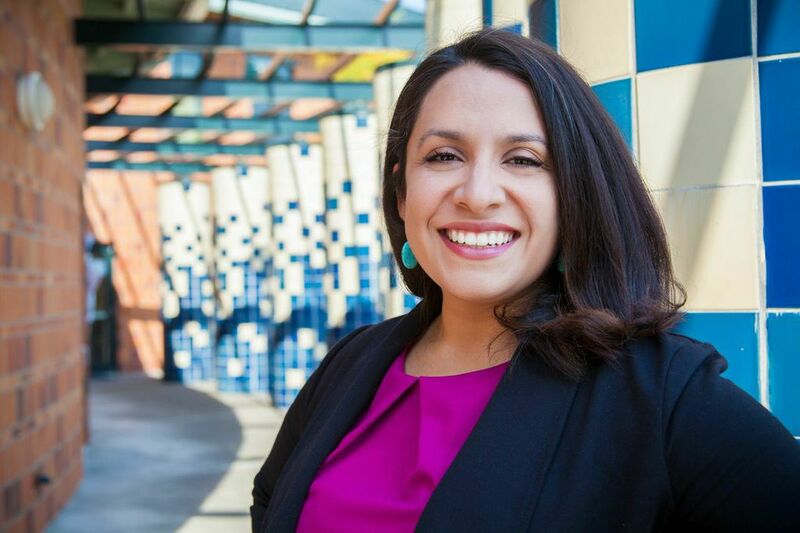 TUKWILA, Wash. – An alumna who is school district superintendent of the most dangerous city in the U.S. is working with Washington State University faculty on efforts to combat social ills starting in the school system. 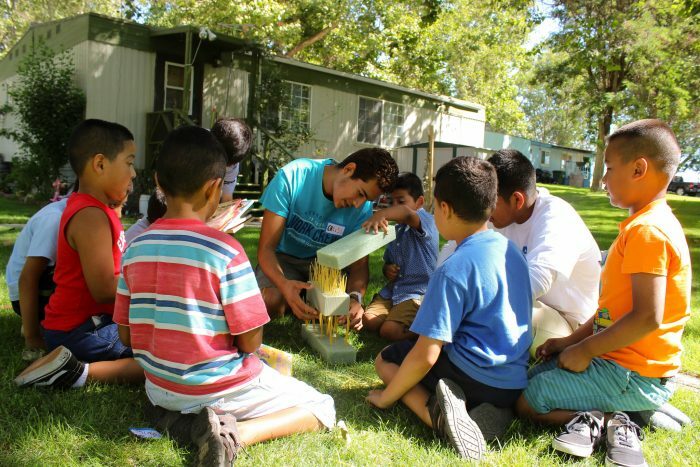 VANCOUVER, Wash. – Washington State University has won a five-year, $2.2 million grant to increase the number of certified K-8 teachers with bilingual and English learners (EL) endorsements and to provide professional development to improve EL instruction. 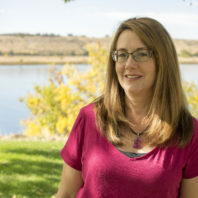 RICHLAND, Wash. – A Washington State University Tri-Cities professor is part of a project awarded $1.5 million from the National Science Foundation to teach mathematical modeling in elementary school as it applies to real-world cultural and community contexts. The goal is to determine strategies that teachers across the nation may use in their own classrooms. SPOKANE, Wash. – Gov. 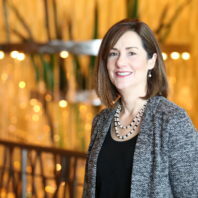 Jay Inslee has appointed Janet Frost to the Washington STEM Education Innovation Alliance, which advises the governor about development and implementation of policies to advance STEM (science, technology, engineering, mathematics) education. PULLMAN, Wash. – Washington State University students are invited to hear how to improve their quality of life at the university through physical activity and academic productivity during a talk at 2:30 p.m. Friday, Sept. 9, in Physical Education Building 136. 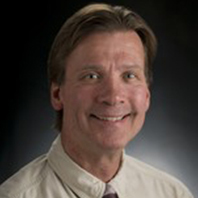 Speaker Jim Pivarnik is a professor of kinesiology and epidemiology at Michigan State University and director of its Center for Physical Activity and Health. 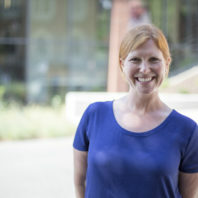 RICHLAND, Wash. – Sarah Newcomer, an assistant professor of literacy education at Washington State University Tri-Cities, recently earned a national award for her work to increase opportunity and equity in education. 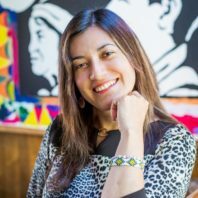 The Concha Delgado Gaitan Early Career Presidential Fellowship is presented by the national Council of Anthropology and Education (CAE) to a maximum of eight recipients each year. In this Kitsap Sun article about the role classroom visuals play in learning, our own Johnny Lupinacci talks about students learning better in classrooms that are physically comfortable — with proper lighting, acoustics, temperature and air quality — and that are stimulating but not too busy. PULLMAN, Wash. – Washington State University will partner with a flagship South Korean university in areas including research, education, technology transfer and economic development. 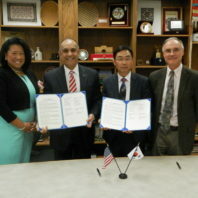 WSU and the College of Education at Pusan National University signed a memorandum of understanding last week. They also plan to explore the feasibility of STEM (science, technology, engineering, math) education faculty exchanges. Huffington Post op-ed: Rio Organizers Are Overwhelmed. Give Them Less Time. 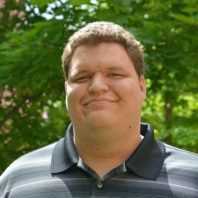 In this opinion piece assistant professor of sport management Simon Licen writes about the deficiencies of the Olympics, from an administrative perspective, and what could be done to help ensure host nations are even better prepared for not only the games but also how to use the facilities after the games are done. 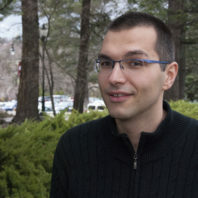 In this interview with an Slovenian National Radio, assistant professor of sport management Simon Licen discusses his research on media discourse in sport, or, to put another way, the way different media in various countries talk about sport. He relies heavily on the Olympics to explain his research. PULLMAN, Wash. - The same technology that helped Pokemon Go take the world by storm this summer might soon be coming to local special education classrooms. 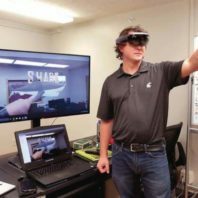 Schools stretching from the Palouse to Asia have been in contact with WSU about the technology known as "augmented reality." In this interview with an Italian-language radio group, assistant professor of sport management Simon Licen says the Olympics is not merely a mega sporting event, but an event ripe with politics, economics, and society. 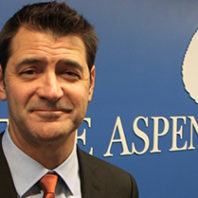 From a merely athletics point of view, Licen says the Olympics will be a success. Media focus on "its own" nation at large sporting events such as the Olympic Games, is typical for all countries. 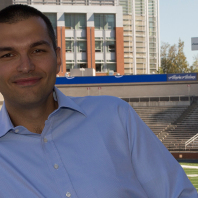 Assistant professor of sport management Simon Licen is quoted by Slovenian Radio Television. 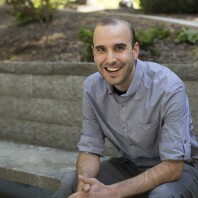 In this radio interview, assistant professor of sport management Simon Licen says there is a link between sport, media, capital, and policy. In WalletHub's new article about the Rio Olympics, WSU sport management professor Simon Licen talks about the safety and economics of the Olympics. Plus, he talks about the real reason we all watch: the athletes and their incredible performances, which he says should transcend nationalism. 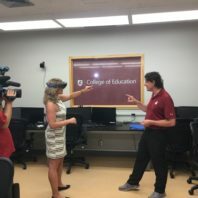 PULLMAN, Wash. - While Pokemon Go has brought a really cool technology into the mainstream, the augmented reality that's part of the smart phone app can do a lot more than just catch 'em all and is already being used in classroom settings. 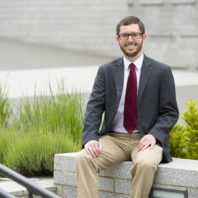 VANCOUVER, Wash. – To continue improving educational access to teachers, the Washington State University College of Education will launch an educational leadership program in South King County in the fall. 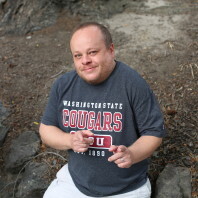 PULLMAN, Wash. – The online master’s degree in special education at Washington State University has been ranked 20th in the country by Best Colleges, based on academic strengths, learning goals, innovative courses and online classroom experience. 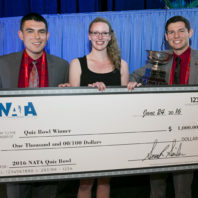 BALTIMORE – College of Education athletic training students have won the quiz bowl national championship at the National Athletic Trainers’ Association yearly conference. Ten teams competed after winning in their respective districts. 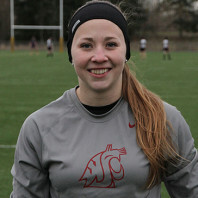 The Washington State University team’s district comprises Washington, Oregon, Idaho, Montana and Alaska. 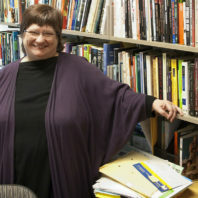 Q&A: WSU administrator always has been an artist; now you can see her work. Kelly McGovern has been creating art as long as she can remember, but until now she's never done a show. Her work will be featured in the 10th annual Floriade at the Left Bank Gallery in Palouse. 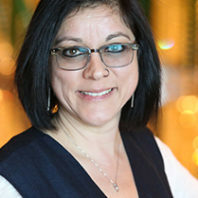 Evelyn Martinez, who recently received her master’s degree in educational psychology from Washington State University, has researched first-year students’ participation in academic resources. While resources like the Writing Center and free tutoring are available to students year round, she said students must use them to see any benefit. 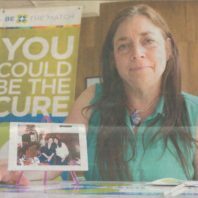 Around the time Tacoma woman Donna King found out she didn't have very long to live, the cancer patient made a request to her sister. She wanted more people to know about national bone marrow registries... Her sister, Debra Pastore, delivered on that request and may have helped save three lives. VIEW DAILY NEWS FRONT PAGE. 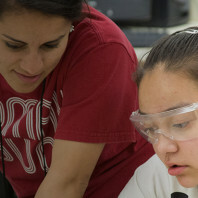 PULLMAN, Wash. – Teens from the Coeur D’Alene Tribe are learning academic and other skills through Friday at the 12th annual STEM (science, technology, engineering, mathematics), Leadership and Sports Camp at Washington State University. In WalletHub's new article about the best soccer cities in the United States, WSU sport management professor Scott Jedlicka weighs in on the biggest issues facing soccer today, the long-term outlook for professional soccer in the U.S., and fantasy sports potential in soccer. Perhaps it’s rugby. 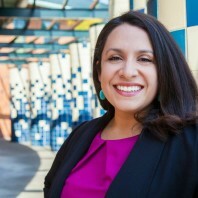 Perhaps that’s what makes Veronica Mendez-Liaina such a great academic advisor. 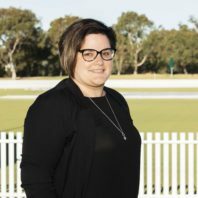 Mendez-Liaina was a rugby player herself back in the day, and leaning on that experience has put her in a position to best advise students in the College of Education’s Sport Management program, which she has done for three years. She has awards to prove her value. Now, she has another. Educational leadership is the focus of a conference June 6-8 in Portland, Ore., co-hosted by Washington State University as part of the nationwide Carnegie Project on the Education Doctorate (CPED). The education doctorate (Ed.D.) differs from the Ph.D. in that it is a practitioner’s degree instead of a research degree. 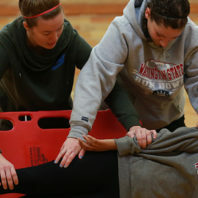 Students in the College of Education athletic training program won the Quiz Bowl for the third straight year at a regional industry gathering, while other Washington State University students earned research awards, scholarships and leadership positions. 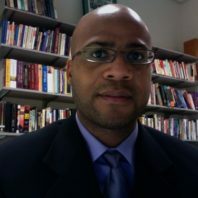 Eric Johnson, associate professor of bilingual/ESL education on our Tri-Cities campus, spoke to The Atlantic about a recent study of the "word gap," how it might be overly simplistic, and that its implications have been exaggerated. 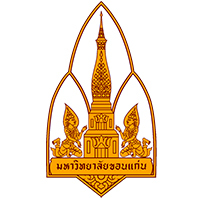 Their visit is part of a four-year-old partnership between the WSU College of Education and faculty at Thailand’s Khon Kaen University (KKU). 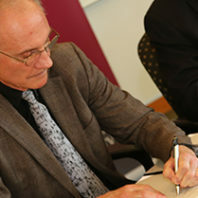 The agreement recently was renewed by Dean Mike Trevisan, who said future collaborations could be in the areas of STEM education, diversity, curriculum and special education, as well as potential faculty and student exchanges. A free, public welcome for the international students – including food and two of their presentations – will be 6-8 p.m. Monday, April 4, in the Brelsford Visitor Center in downtown Pullman. 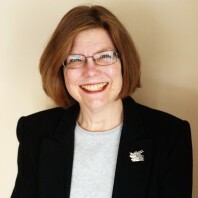 LEWISBURG, Pa. – A.G. Rud, Professor of Cultural Studies and Social Thought in Education at Wash­ington State University, dis­cussed an overview of educa­tional concepts inspired by John Dewey on March 7. A propo­nent of progressive education, Dewey based his theories on the individuality of students, the benefits of interactive learning, and the idea of creating a com­munity of learners. 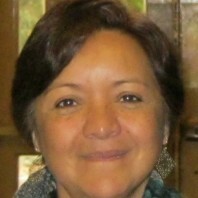 Rud orches­trated a presentation and discus­sion around the question, "What is the role of love in education?" 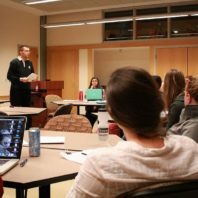 PULLMAN, Wash. – Graduate students from five colleges will explain their research in the Three Minute Thesis (3MT) competition at 1 p.m. Tuesday, March 22, in the CUB auditorium as part of Showcase, a week of celebrating the achievements of Washington State University faculty, staff and students. The contest challenges students to consolidate their ideas and discoveries and present them concisely to a non-specialist audience. 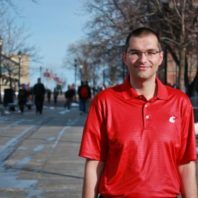 Learn more about 3MT at https://3mt.wsu.edu/. 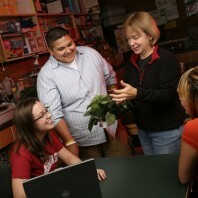 Find more about Showcase events at https://showcase.wsu.edu/schedule/. PULLMAN, Wash. – Ramsey Itani and a handful of other students from Pullman District 267 are wired, in every sense of the word. While their class at first appears to be just a basic row of computer desks, the students in it look like extras from a mad-science movie. As 1st grader Ramsey puzzles over a computer-coding exercise, a Karate Kid-style headband over his forehead records his brain activity... His classroom neighbor adjusts a blood pressure sensor on her wrist as she types, and in the next row, a 3rd grader peers at her work from beneath a set of eye-tracking goggles. 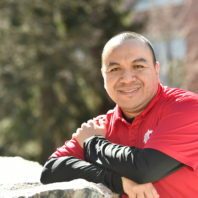 PULLMAN, Wash. – To help Washington K-12 schools comply with new requirements for teaching American Indian history and culture, Washington State University is offering an online summer course closely aligned with the state-created curriculum. 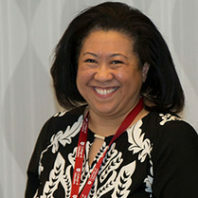 PULLMAN, Wash. – Paula Groves Price, associate dean for diversity and international programs in the College of Education at WSU Pullman, will receive the Washington State University 2016 Faculty Diversity Award at the Celebrating Excellence Recognition Banquet on March 25 in Pullman. The banquet is part of WSU’s annual Showcase celebration of faculty, staff and student excellence. Reservations are required for the banquet and must be made by March 18. 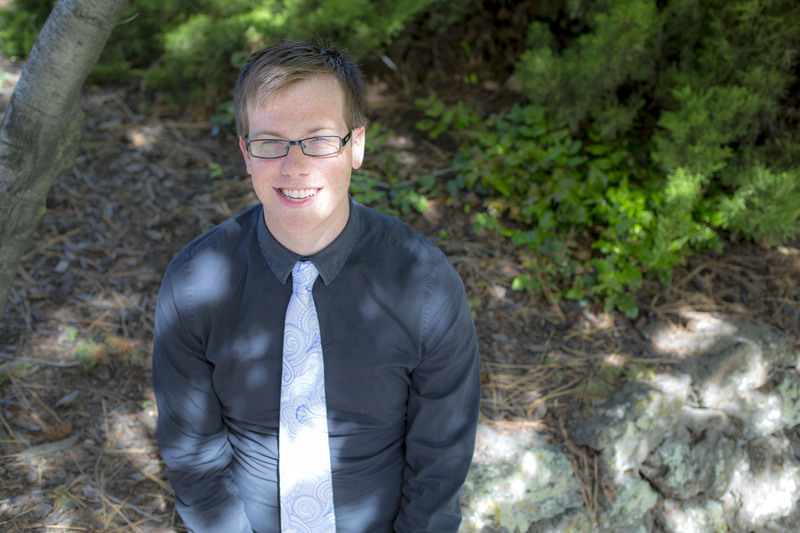 PULLMAN, Wash. – An educational psychology student, Andrew Iverson, has won the university’s first college-level Three Minute Thesis this year. 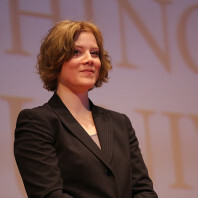 Three Minute Thesis (3MT) is a doctoral-level competition where students must present their research to an audience in three minutes or less. A panel of non-partial judges grade each competitor on if the presentation helped the audience understand the research, if it was communicated in language appropriate to a non-specialist audience, and if judges felt the presentation made the audience want to know even more. 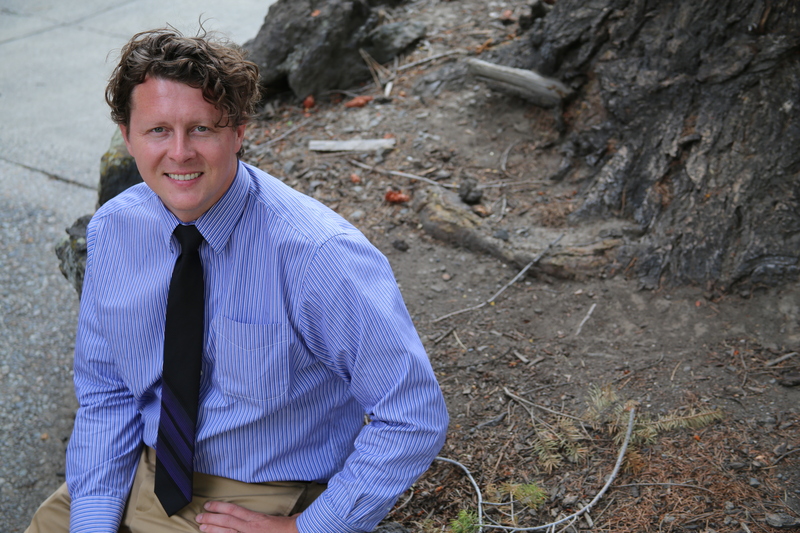 Beginning this semester, WSU Tri-Cities will partner with the Pasco School District and the Laser Interferometer Gravitational-Wave Observatory on a video project that will be used for classroom instruction in Pasco middle and high schools and beyond. 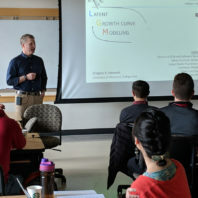 PULLMAN, Wash. – Some 30 faculty, staff and administrators learned about STEM resources, grant availability and connections to the arts during a half-day workshop to bolster Washington State University’s research, teaching and learning in STEM education. Participants determined that WSU could use a central STEM hub to help provide information and facilitate working together. 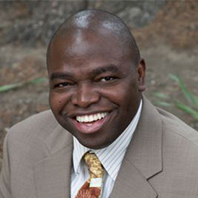 PULLMAN, Wash. – At the next faculty-led workshop, associate professor Sola Adesope will discuss how concept mapping can promote students’ critical-thinking skills. “Mind Mapping” will be at 12:10 p.m. Thursday, Feb. 11, in CUE 518, Washington State University, and will be live streamed. Lunch will be provided. 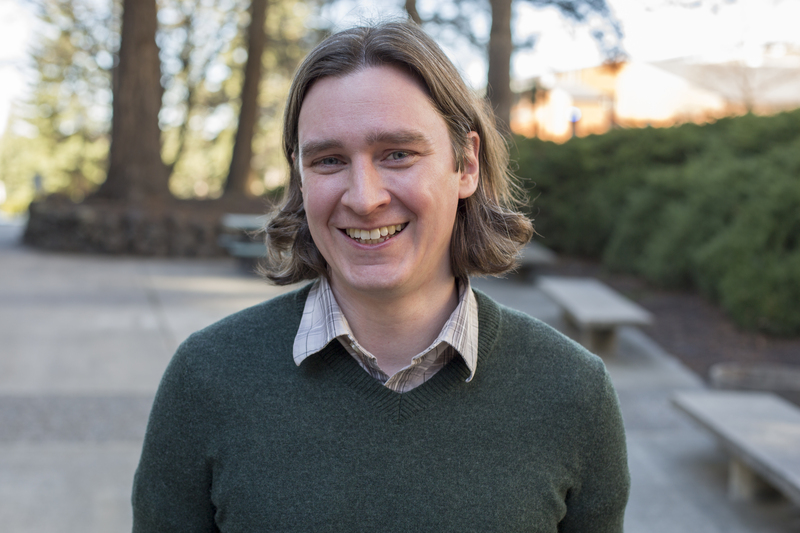 PULLMAN, Wash. – Three Minute Thesis (3MT) will be part of Washington State University’s annual Showcase celebration of excellence on Tuesday, March 22. Prizes, in the form of travel awards for research conferences, will be $3,000 for the winner, $1,500 for second place and $500 for third. 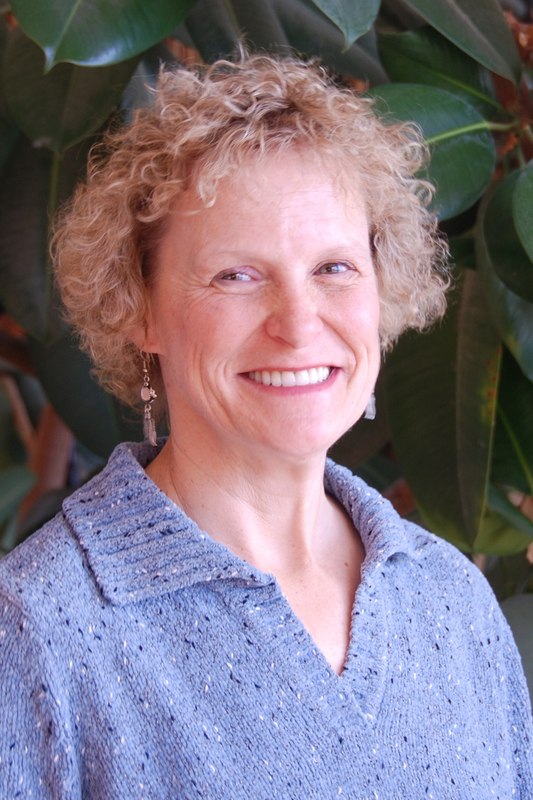 PULLMAN, Wash. – The characteristics of effective feedback and how it can be used to empower students will be presented by educational consultant Susan Brookhart at 3 p.m. Tuesday, Jan. 26, in Goertzen 21, at Washington State University. 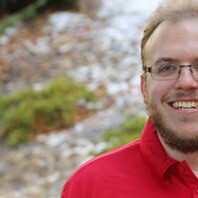 PULLMAN, Wash. – Graduate student Andy Scheef is one of 10 students selected internationally by the Council for Exceptional Children to join the eighth cohort of the Division for Research Doctoral Student Scholars. 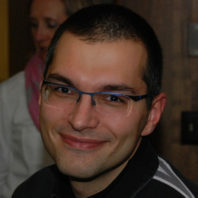 He will meet with other scholars and participate in the council conference in April. 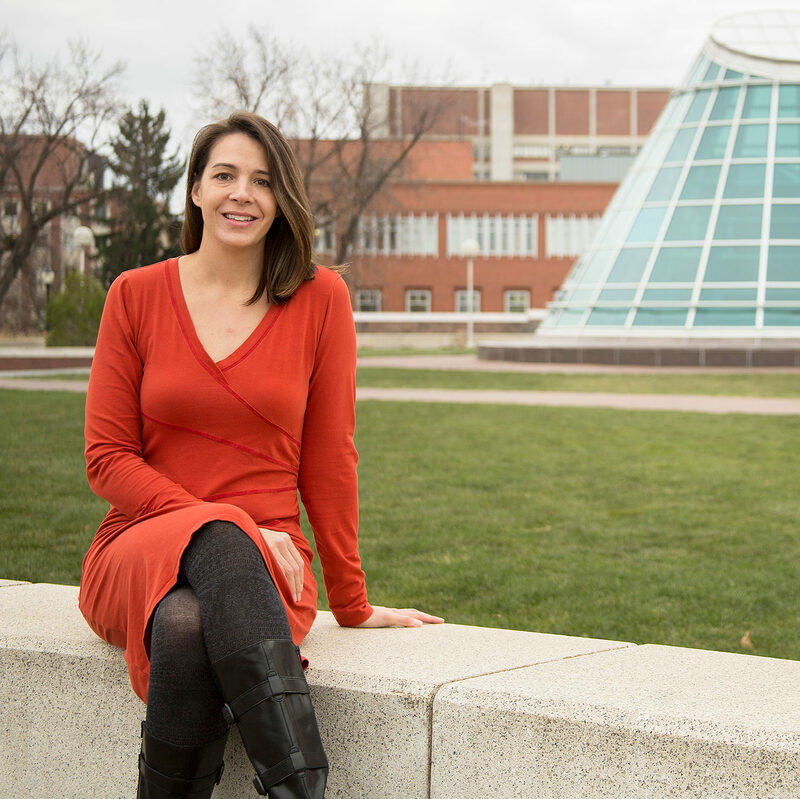 Yuliya Ardasheva is among those selected to receive the annual WSU Martin Luther King, Jr. Distinguished Service Award. The honors will be awarded during the free, public WSU MLK Community Celebration at 6:30 p.m. Thursday, Jan. 28, in the CUB ballroom at WSU Pullman. 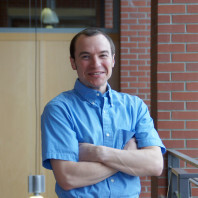 VANCOUVER, Wash. – Michael Dunn, associate professor of special education and literacy, recently was elected to the International Academy for Research in Learning Disabilities (IARLD). 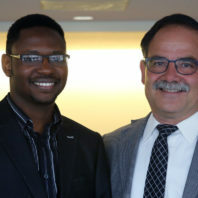 A clinical assistant professor of special education has won an award for his research predicting what will or won’t help young adults with disabilities to find jobs. 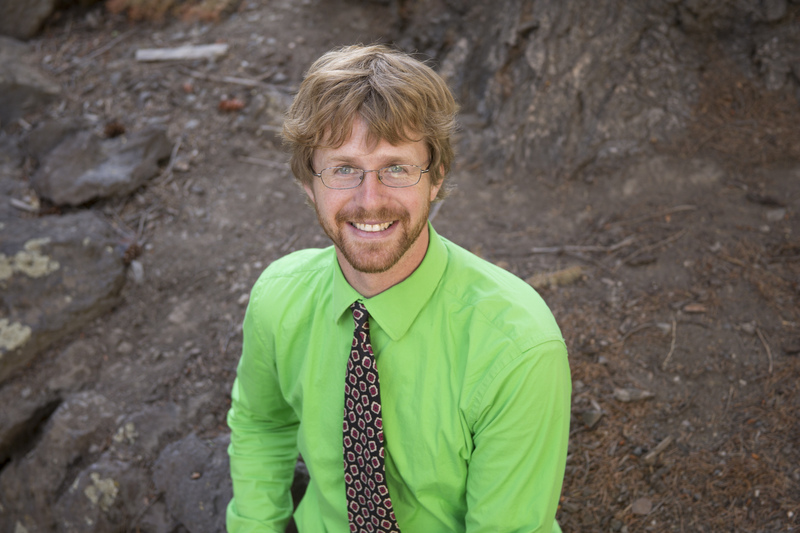 Marcus Poppen was given the Pat Sitlington Emerging Research Award from the Council for Exceptional Children’s Division on Career Development and Transition. 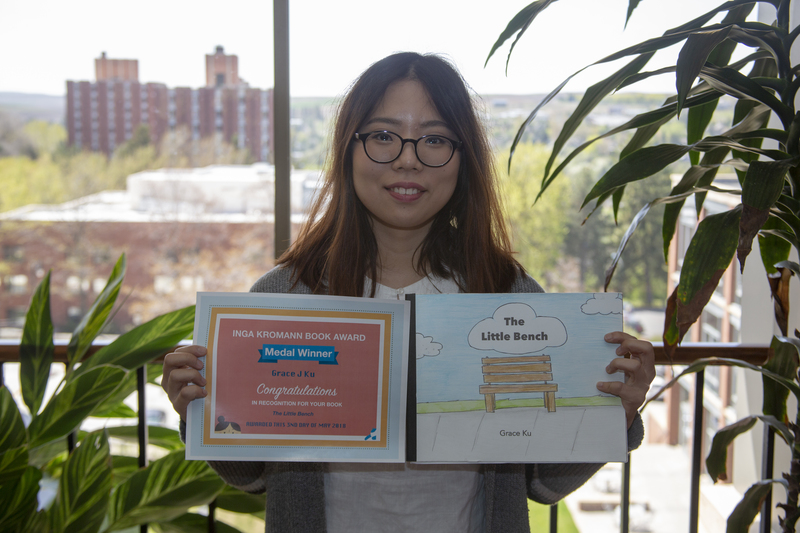 The award is given every other year for exemplary graduate student research in the field of transition education for individuals with disabilities. 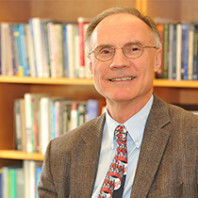 Poppen’s research was from his doctoral studies at the University of Oregon. 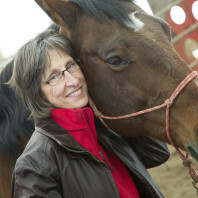 Washington State University has launched an online course about human-animal interaction. 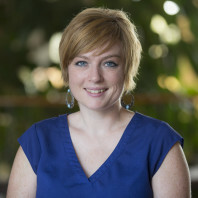 Anne Marie Guerrettaz, an assistant professor of educational linguistics, was recently featured by the Mexican media outlet Por Esto! in regards to Mayan writing undergoing standardization, with its teachers uncertain of how to teach the language. This is in Spanish. However, here is an English translation. 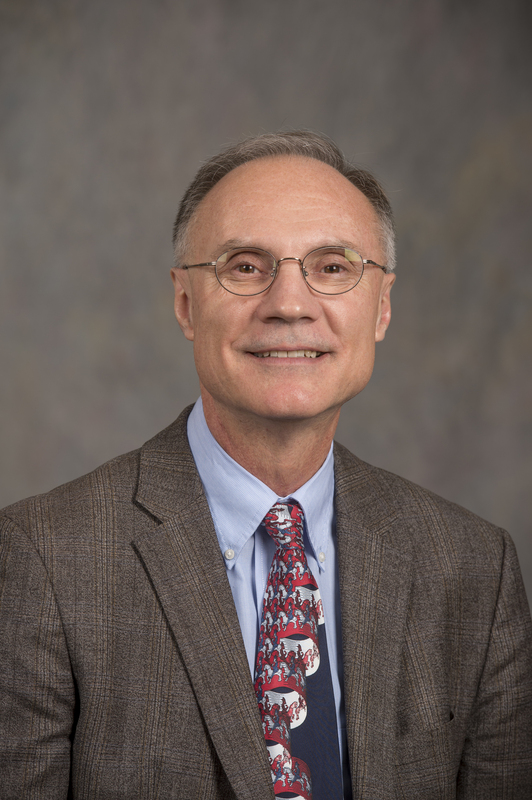 Our college dean, Mike Trevisan, wrote a guest editorial for the Tri-City Herald, and expresses his concerns about the current teacher shortage, which is both a state and national crisis. He also talks about concerted efforts being made among a variety of teacher preparation programs, to combat some of the underlying issues behind the teacher shortage. Watch video from 31:54 onward. 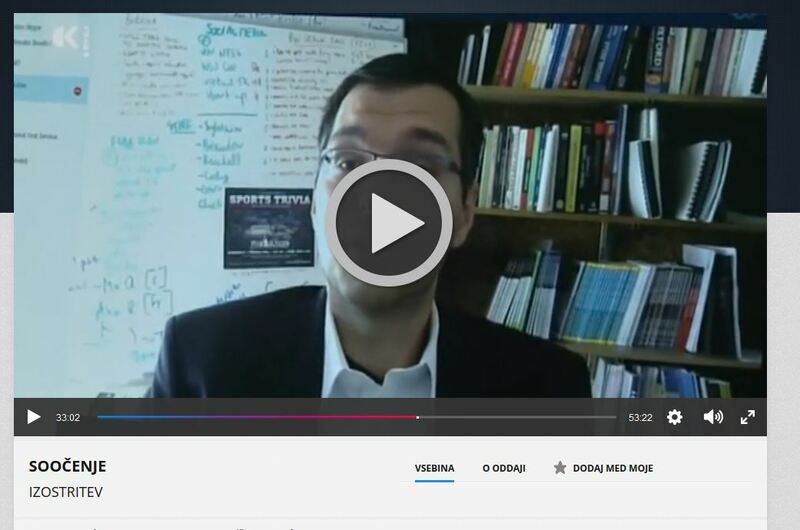 Dr. Simon Licen was interviewed by TV Koper-Capodistria, part of the Slovenian Public Television. 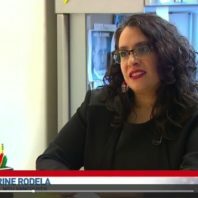 The University of Primorska (a region in Slovenia) is searching for a new president, and the show was a televised debate between the candidates. 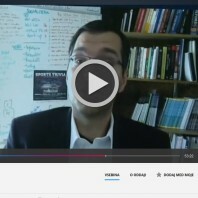 Dr. Licen was interviewed as a researcher who works abroad. Even those who don't speak Slovenian can watch and see how neat his appearance is. This is in Slovenian. 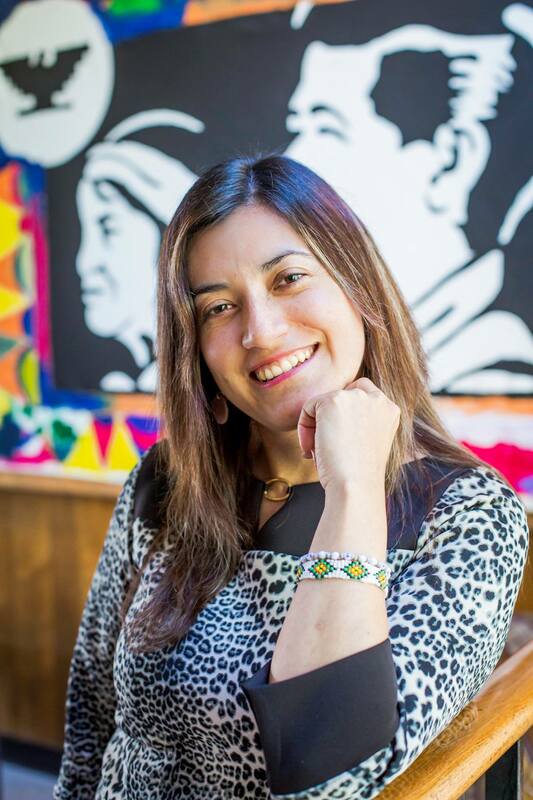 Human rights and state-sponsored political violence will be addressed by Luz Rivera Martinez, an organizer with Consejo Nacional Urbano y Campesino, in a free, public discussion at 4 p.m. Friday, Nov. 6, in Cleveland 121 at Washington State University. The talk, “Maiz y el Pais,” will consider how corn in Mexican culture is a symbol for autonomy and the dignified struggle for a better world. 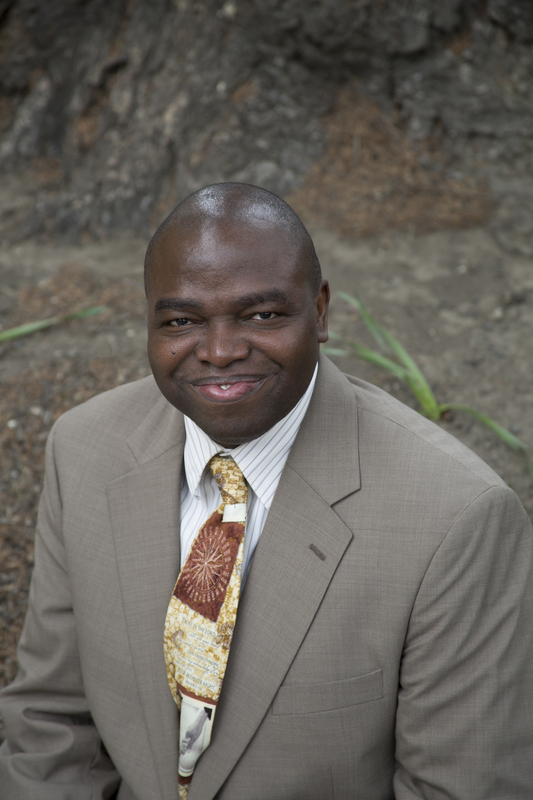 Associate professor of educational psychology Sola Adesope was recognized recently as the first Provost Featured Faculty Member at Washington State University for a variety of reasons. Yes, he’s done great research. Yes, he’s won national awards. But above all: “His high level of productivity never interferes with his humanness,” said Phyllis Erdman, College of Education executive associate dean for academic affairs. 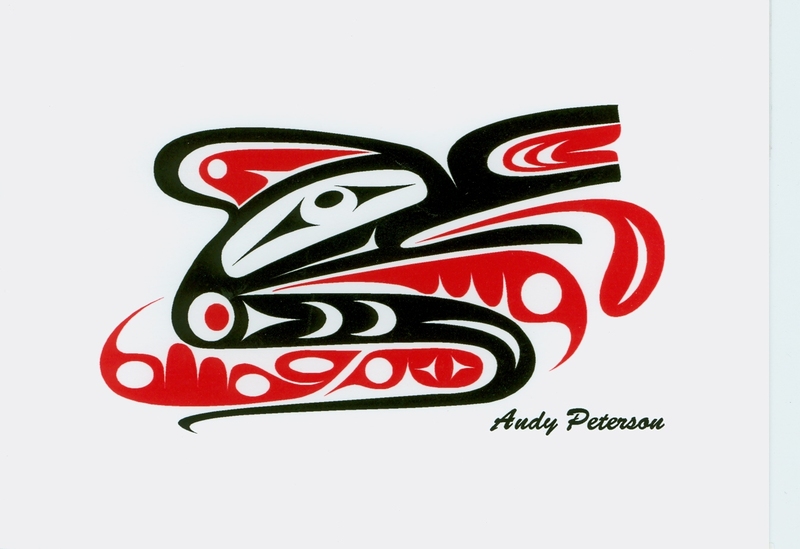 The first online journal addressing topics for the Pacific Northwest’s Mestizo and indigenous communities has been published by the Washington State University College of Education’s Center for Mestizo and Indigenous Research and Engagement. Found at www.education.wsu.edu/journal, it is intended to translate academic and research writings into brief, easy-to-understand synopses for non-academic audiences. A major stumbling block to advancing opportunity and equity in education is misinformation, misunderstanding, and injustice of Indigenous students. 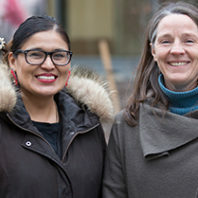 The College of Education’s Clearinghouse on Native Teaching and Learning will host a viewing today, at 3:00 p.m. in Cleveland 27B, of the 12th Annual Brown Lecture, sponsored by the American Educational Research Association. This year’s lecture is titled Indigenous Pathways Toward Justice. 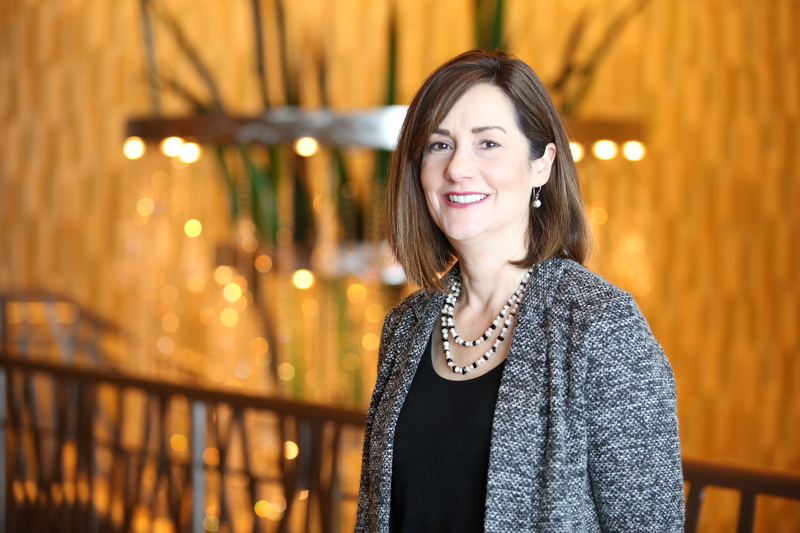 Clinical assistant professor of educational psychology Jenny LeBeau was recently recognized in the special philanthropic section of the Spokane Journal of Business. 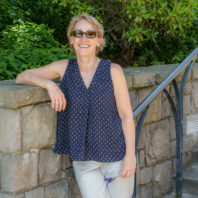 Washington State University alumna and Port Townsend science teacher Lois Sherwood is among the statewide winners who will compete nationally for the Presidential Award for Excellence in Mathematics and Science Teaching. But her path to teaching rockstardom was basically finished before it began – until it met a rebirth. Washington State University has been awarded a $1.1 million grant from the U.S. Department of Education that will support low-income and first-generation students preparing for careers as K-12 teachers. The grant will fund the Teacher Preparation Student Support Services project, serving 140 participants each year for five years. It will provide the students opportunities for academic development, assistance with college requirements, and motivation toward the successful completion of their degrees. What are the biggest challenges facing the business of professional hockey today? 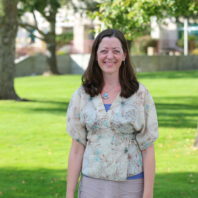 VANCOUVER, Wash. – Research into STEM education in grades K-8 will be taken statewide with funding from the College of Education Berry Family Fellowship recently won by Tamara Nelson, professor of teaching and learning at Washington State University Vancouver. “STEM education will not only help people find work in the 21st century, but will also help them deal with living conditions in the 21st century,” Nelson said. 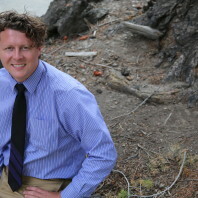 The first thing that strikes you is the simplicity of the title: “Becoming a Teacher.” The straightforward approach Forest Parkay uses may explain why his textbook, appearing in its 10th edition, is widely used in colleges and universities across the world, including in languages like Mandarin and Indonesian. 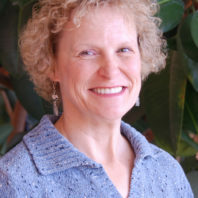 The book’s milestone also marks one for Parkay: the educational leadership professor in the Washington State University College of Education will retire at the end of the semester. The ways in which the Olympic Games represent America and how their mass consumption affects identity will be presented in a free, public talk by author and professor Andrew Billings at 4 p.m. Thursday, April 9, in Cleveland 30E. His research interests lie in the intersection of sport, mass media, consumption habits and identity-laden content. 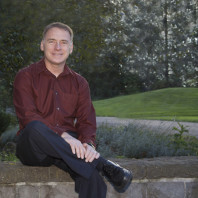 VANCOUVER, Wash. – A book coauthored by Richard Sawyer, associate professor of education at WSU Vancouver, will receive one of the top awards at the April conference of the American Educational Research Association, the premiere conference in education. The award for Significant Contribution to Educational Measurement and Research Methodology recognizes a publication for quality, originality and potential impact. Students at Washington State University studying to be science teachers will help children conduct hands-on experiments at the tiniest scales during NanoDays at the Palouse Discovery Science Center 11 a.m.-2 p.m. Saturday, April 4, at 950 NE Nelson Court, Pullman. The event will take place during the week at more than 250 science and children’s museums across the country. See http://www.nisenet.org/nanodays for more information. 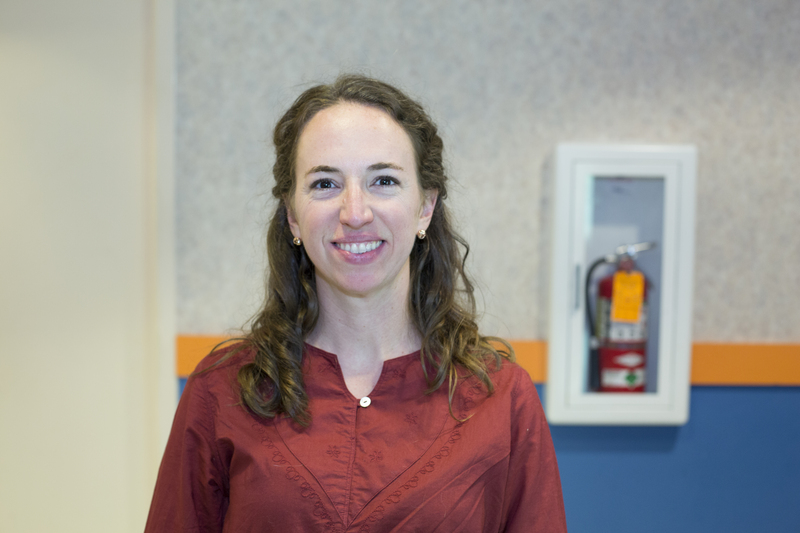 An assistant professor of special education at the College of Education has been awarded an international honor for a student who shows great potential for future contribution to the field. 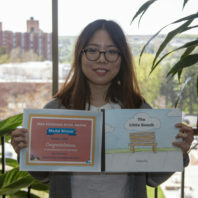 Brenda Barrio won the annual award from the Division of International Special Education & Services (DISES). Students are eligible for two years beyond graduation. 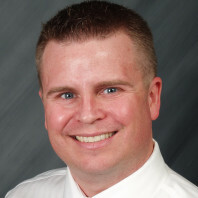 To help ease the frustration of Oregon teachers with classroom assessment requirements, Washington State University’s Chad Gotch teamed up with the Oregon Department of Education to speak with teachers and administrators about using assessments to document student growth. 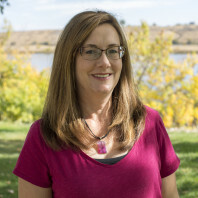 Approximately 300 teachers and administrators attended the statewide professional learning team conferences where Gotch, a clinical assistant professor in the WSU College of Education, spoke in February and March. 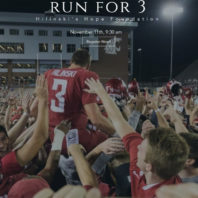 A Seattle-based professional sports agent will speak about that business to Washington State University students and the public at 6 p.m. Thursday, March 12, in Todd 434. Cameron Foster is co-founder and managing director of REIGN Foster & Easley Sports Management Group, which represents professional athletes including former Seattle Seahawks Benson Mayowa and Korey Toomer and former WSU football players Jeff Tuel, Deone Bucannon and Marquess Wilson. The company recently celebrated 25 years in business. 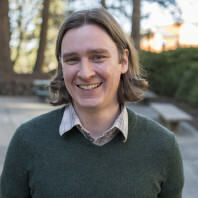 Associate professor Tom Salsbury has won a three-year Washington State University grant for research into the counseling needs of middle school English language learners in Washington. The college’s Nichols Mitchell Faculty Fellowship awards $12,500 per year to a faculty member who has demonstrated excellence in both research and the classroom and who has an active research program that aligns with both college and university strategic plans. A College of Education Ph.D. candidate is helping spearhead the inaugural Cultural Arts of Education Showcase at 5 p.m. Monday, Feb. 23, in the CUB ballroom. The free, public event will demonstrate the potential that music, literature and art have for enriching teaching and learning. Among other guests, the event will feature national award-winning slam poet Anthony C. Rucker as host and a reading by author Mary Weems exploring socioeconomic and racial topics. 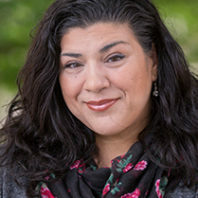 A Washington State University associate professor is one of five national winners of a new award for mid-career psychologists based on accomplishment, peer recommendation and commitment to multicultural issues. 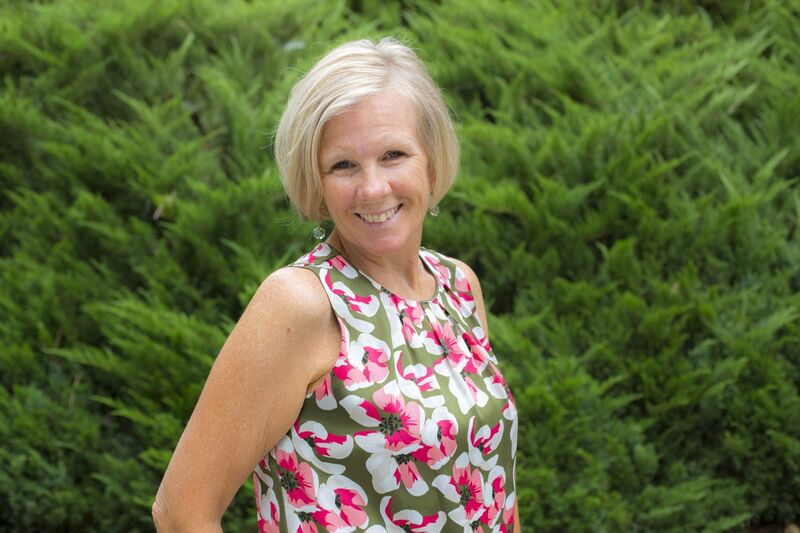 Laurie “Lali” McCubbin, College of Education, received a 2015 “Shining Star” award from the National Multicultural Conference and Summit (NMCS) at its recent biennial meeting. The summit gathers multicultural scholars and professionals from different divisions of the American Psychological Association (APA). 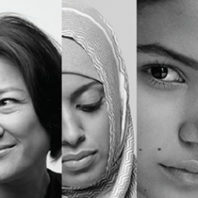 SEATTLE – The lack of teacher diversity in public schools will be addressed by the Alhadeff Future Teachers of Color (AFTOC) program at a teacher recruiting event at 8:30 a.m. Saturday, April 4, at Majestic Bay Theatres. Students who attend will see a free showing of the movie “Finding Forrester” – about an inner-city kid at a prestigious New York prep school who overcomes prejudice to pursue his dreams. Participants will get free concessions and receive a free pass for an upcoming film. Space is limited; sign up at http://education.wp.wsu.edu/ftoc/. 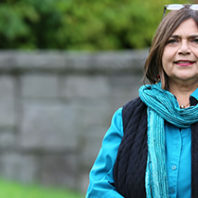 For her work promoting human rights and social justice through research, teaching and service, Pamela Bettis will receive Washington State University’s 2015 Faculty Diversity Award. 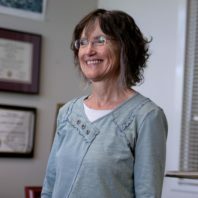 “Her teaching, scholarship and service combine the rigor and profundity of a seasoned scholar and the commitment of those who battle for the rights of a voiceless and invisible population, particularly girls and young women,” said Gisela Ernst-Slavit, associate dean of the WSU College of Education. 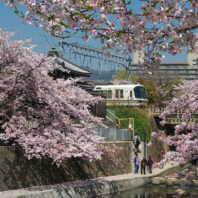 The Washington State University College of Education is upping the ante on its commitment to international initiatives by announcing faculty-led study abroad programs this summer to Costa Rica, Japan, and South Korea. It will be the second straight year the college has had a program in South Korea. It will be the first time for Costa Rica. 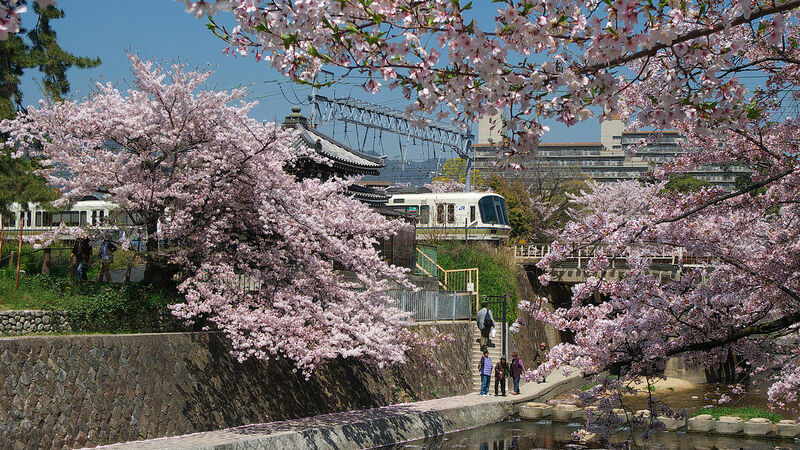 And, notwithstanding a long history of collaboration and initiatives with Japan, it will also be the first study abroad program to that country. Oct. 24, 2012 Study: Elevator or stairs? April 10, 2009 WSUprogram makes an I.M.P.A.C.T. June 12, 2007 What makes a great principal?